Whether you want to stay in the city centre or out in the spectacular countryside, there are hotels across Scotland to suit a range of budgets. From grand, luxury hotels to cosy and comfortable, there’s something for everyone. You can see the location of hotels on the map below. Clicking on a marker will reveal the name of the hotel and a link to a page about it. This modern new hotel in the in city centre of Aberdeen has free Wi-Fi and a stylish decor…. Close to the train and bus stations, Aberdeen Douglas Hotel has a central location, comfor…. Aberdeen Marriott Hotel is just 3 miles from the airport and 6 miles from the city centre,…. The Aberdeen Northern Hotel is a privately owned hotel close to the city centre in Aberdee…. The Banchory Lodge is Privately owned and supervised, Banchory Lodge Hotel offers superior…. Located on the western outskirts of the Royal Burgh of Banff on the A98, Banff to Invernes…. Bennachie Lodge Hotel was originally a Manse built to accompany Kemnay Church in the late …. If you want to tour Royal Deeside and the North East of Scotland, this is the place to sta…. Situated just 3 miles from Aberdeen city centre, the Summerhill Hotel provides an ideal ve…. 4 Star Award from Visit Scotland and AA. Also awarded AA Rosette and recieved Highly Comme…. A family run style hotel, only 20 minutes from Aberdeen city centre and 15 minutes from th…. 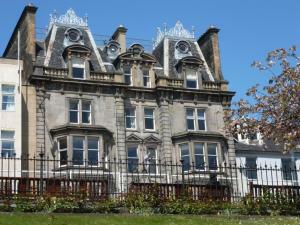 Handsome Georgian townhouse in Aberdeen city centre, convenient for theatre, cinema, bars,…. The Copthorne Hotel Aberdeen is a modern property with granite fa_ßade, set in the core o…. Cove bay hotel is a traditional hotel situated on a peninsula overlooking the North sea,it…. 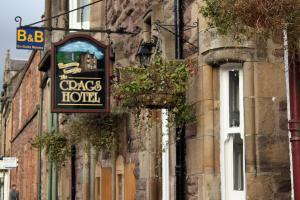 The Craighaar Hotel is a tastefully designed modern hotel, with rustic charm, seven miles …. Located in the historic town of Banff on the Banffshire Coast. Banff is a popular holiday …. Ideally located for peace and quiet, yet only five minutes walk into the village, The Glen…. Harbour view house is a beautiful property built around 1880, situated in the historic 17t…. The Highland Haven Hotel is situated in the coastal town of Macduff, on the waterfront, op…. Located in the West End of the city, the Hilton Aberdeen Treetops hotel is the ideal choic…. We are delighted to announce the launch of the new dedicated website for the Hilton Craige…. 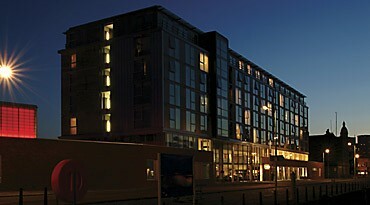 Set in the heart of Aberdeen – the oil capital of Europe – the Hilton Garden Inn Aberdeen …. Discover all that Aberdeen has to offer at the convenient, comfortable Holiday Inn Aberdee…. Choose the chic design of Holiday Inn Aberdeen-West hotel, set in a quiet residential area…. Enjoy a restful stay at the modern Holiday Inn Express Aberdeen-Exhibition Centre hotel, c…. The Huntly Arms Hotel is a 15th century coaching inn located in Aboyne, just off the A93 r…. 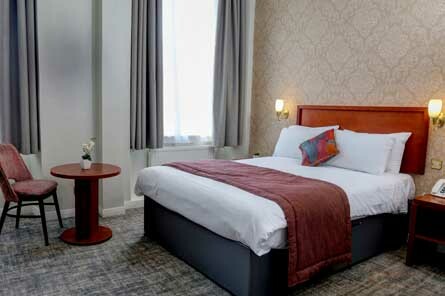 Jurys Inns Aberdeen hotel is ideally located in the heart of Aberdeen, situated on Guild S…. Converted Victorian mansion house set in peaceful rural location, amidst acres of gardens …. 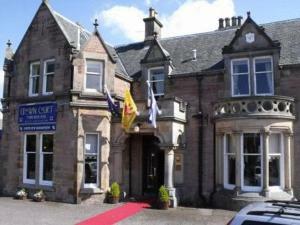 Situated in the historic town of Inverurie, The Kintore Arms Hotel dates back to 1855 and …. Set in the heart of Royal Deeside only 13 miles from Balmoral Castle, and only 35 miles fr…. Macdonald Pittodrie House is one of the finest 4-star hotels in Aberdeenshire. Set within …. Malmaison Aberdeen, the twelfth addition to the Malmaison boutique hotel chain, is set to …. A warm Scottish welcome awaits you in this charming privately owned Country House. Set in …. In 350 acres of mature woodland and peaceful rolling parkland, this beautiful country hous…. The Menzies Dyce Skean Dhu is seven miles from Aberdeen city centre and two miles from New…. The splendid Mercure Ardoe House Hotel and Spa is hidden away amongst acres of rolling cou…. Norwood Hall Hotel is one of the finest ­­­­4-star hotels in Aberdeen. Built in 1881 o…. We are a very friendly city centre Guest House, we over clean and tidy accommodation.We ha…. Centrally located, The Palace Hotel is an independent 3 star hotel which serves as an exce…. The hotel offers 185 bright and modern guest rooms along with excellent meeting facilities…. The Pinehurst Lodge hotel sits in its own grounds surrounded by trees, only 6 miles (1.6km…. Conveniently positioned within easy reach of all transport links; 3 miles from Aberdeen tr…. Ideally situated in a quiet secluded area away from the hustle and bustle of the city. Gre…. An ideal Airport location just a few minutes walk from the Terminal building, 6 miles from…. 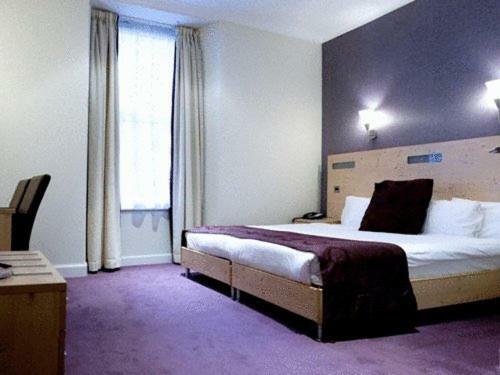 A great city centre location, this Premier Inn is conveniently located for amenities and a…. Conveniently positioned within easy reach of the A90. For shops and local amenities Aberde…. A fantastic location close to Dunnottar Castle, Storybook Glen and Duthie Park Winter Gard…. Raemoir is one of the most beautiful Country House Hotels in the Highlands – A very specia…. The Rocksley Inn, has gone through major refurbishment in the last few years, upgrading ou…. Friendly family run city centre guest house situated close to busrail links and ferry term…. The Royal Hotel is in the City Centre close to Rail and Bus Stations and Ferry Terminal to…. Impressive granite mansion in the West end of the city, stylishly furnished to a very high…. Small friendly hotel in the heart of the city centre. Next to, shops, bars, restaurants an…. For the best in accommodation at an Aberdeen Airport hotel, the Speedbird Inn has establis…. Located in the city centre , opposite both the railway and bus stations. Very close to mai…. This handsome Georgian hotel with an arched portico is set in 44 acres of lush meadowland,…. The Globe Inn, is well situated in the Aberdeenshire village of Tarves, a short drive from…. The Boyne Hotel is situated in the heart of the seaside village of Portsoy, a moments walk…. The Deeside Inn sits in the centre of the picturesque Royal Deeside village of Ballater, a…. The Fife Arms situated in the centre of turriff, is an ideal stay over for the businessman…. Ideally situated in the heart of the vibrant and lively City of Aberdeen, yet just nicely …. The Mariner hotel offers quality en-suite accommodation, including suites with kitchen fac…. The White Horse Inn, situated near Aberdeen, the AECC and Aberdeen Airport, is a privately…. Whether you’re in the Granite City for a flying visit or a longer stay, you’ll find a warm…. Thistle Aberdeen Altens is one of the Granite City’s premier business venues. Close to th…. Located right in the centre of Aberdeen, close to the railway station, The Caledonian is a…. The Tor-na-Coille Hotel is a privately owned and professionally managed Country House Hote…. 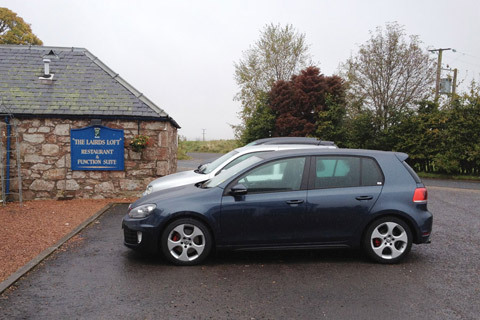 The Udny Arms Hotel is located in Newburgh, overlooking the Ythan River and Newburgh Golf …. Rural location 1 12miles south of Stonehaven and 20 minutes by car to Aberdeen. Popular wi…. 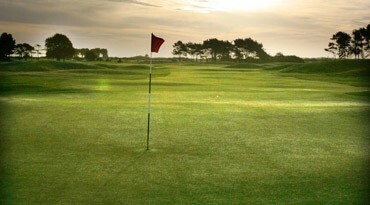 The 19th Hole Hotel is centrally-located within the famous golfing town of Carnoustie. All…. Welcome to Abertay Guest House! The proprietors, Catherine and Karl Victor, look forward t…. Dundee deserves a hotel as impressive as its accomplishments. With its pedigree as a leadi…. 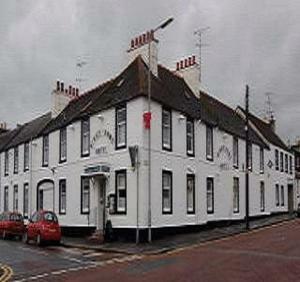 Ashley House Guest House is based in the charming region of Broughty Ferry, Dundee. An und…. Elegant and traditional, with a twist of modernity and contemporary style, the Best Wester…. Welcome to Dundee’s most prestigious privately-owned hotel. It’s a grand claim, but then w…. The Best Western Woodlands Hotel is located in the delightful Broughty Ferry suburb of Dun…. Scotland’s premier luxury golfing and leisure destination is the ideal venue for golf days…. Castleton is a privately run country house hotel in beautiful Tayside. It is very close to…. Sleep in Style The Chapelbank Hotel, a small boutique hotel situated in the heart of Forfa…. Welcome to a family run Dundee hotel with a warm welcome, where youre accepted as part of …. The Dundee Carlton Hotel and Mercury Maia Restaurant and Cocktail Bar has just undergone r…. Glenisla Hotel and restaurantAngus Glens – Heart of Scotland.Our aim is to offer you comfo…. Overlooking the River Tay in Dundee’ss city centre and located just 5 minutes from Dundee …. Choose the stylish Holiday Inn Express Dundee hotel for its convenient city centre locatio…. Guests at Kinnettles Castle will find themselves in stunning surroundings with elegant acc…. Just a few short miles from the glorious Angus coastline lies Letham Grange, an eclectic m…. 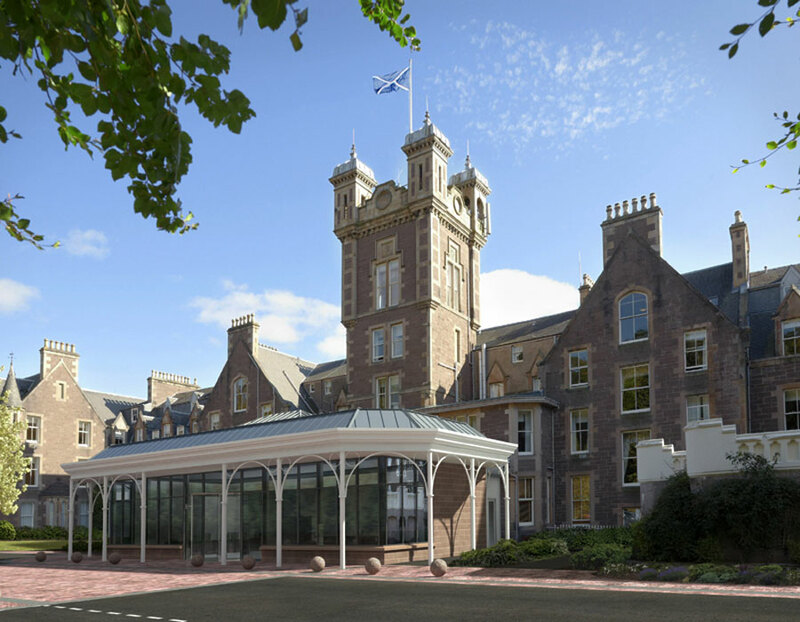 An impressive Edwardian hotel set in the picturesque town of Montrose, home to the 5th old…. Picturesque setting alongside Lintrathen Loch, with an award-winning Restaurant serving mo…. The city of Brechin is situated between the cities of Dundee and Aberdeen and is well posi…. The Panmure Hotel is located in Monifieth, Scotland. Seaside and golf resort Seven miles f…. Creating an ideal atmosphere for a relaxing stay, this attractive property is the right ch…. For shops and local amenities Dundee city centre is only 6 miles away.Monifieth and Brough…. Located within easy reach of the A9(M), conveniently situated across from Dundee train sta…. Located in a small village on the outskirts of Dundee.For shops and local amenities Dundee…. 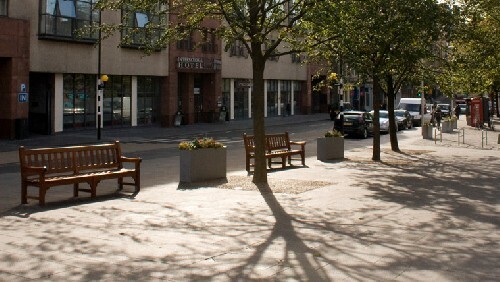 For shops and local amenities, Dundee city centre is only 2 miles away.There is lots to ke…. Ideally located within easy reach of the A90. For shops and local amenities Dundee city ce…. The Royal Hotel is located in Forfar, 14 miles from Dundee, 26 miles from St Andrews golf …. The Fort Hotel is a family run hotel in the heart of Broughty Ferry and is the ideal place…. The Glenesk Hotel – Close your eyes and think of a hotel that is set in some of Scotland’s…. This property is located in the picturesque Dundee suburb of Broughty Ferry. Claypotts C…. 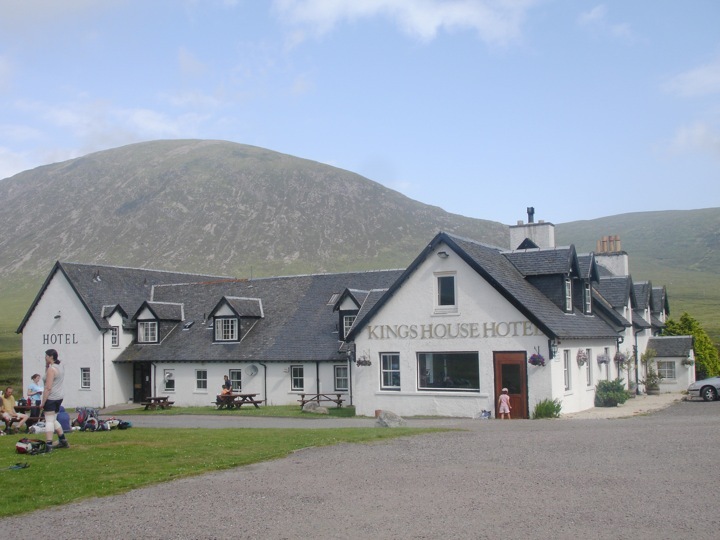 Originally a coaching house in the early 1800s, the Kinloch Arms is now a family run hotel…. Surrounded by country gardens in Dundee, Scotland, the Swallow Hotel Dundee is a Victorian…. The Milton Hotel is a small family run hotel with 7 bedrooms, all en-suite.It is situated …. Located in quite residential area in west end of Dundee close to Dundee Rep and Contempora…. West Park is located in Dundee, one mile from the city centre and 15 miles from St Andrews…. Abbots Brae is known as a luxurious home away from home, positioned high amid a woodland g…. Airds is an 18th century Ferry Inn converted in to a small luxury 4 red star hotel with ou…. 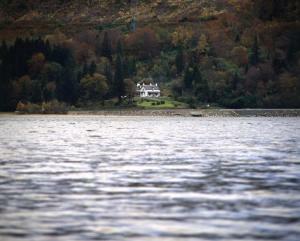 This elegant Victorian mansion has breathtaking views over Loch Fyne, and is superbly situ…. Alltshellach country house, is a fine Scottish residence, formerly a bishops house, with l…. Traditional family-run hotel with a great reputation for its food, situated on the beautif…. The Argyll Hotel is located in Inveraray, on the banks of Loch Fyne. It is 0.5 miles from …. Situated in the picturesque fishing village of Carradale, on the East Coast of the Kintyre…. A luxury hotel in the true sense of the word. The Best Western Argyll Hotel, with its maje…. Now under family ownership, The Queens Hotel has just undergone a complete refurbishment t…. Gloriously relaxing, timeless getaway destination hotel, deliciously prepared and presente…. On the shores of Loch Fyne, Cairndow Stagecoach Inn offers free parking, free Wi-Fi and sp…. Idyllic, peaceful situation overlooking Arran offering modern Scottish food imaginatively …. Spectacular views across the Kyles of Bute to the island. Fully refurbished to high standa…. The Columba Hotel is located in Oban, by the Sound of Kerrera. The historic McCaig’s Tower…. A traditional, family-run inn built in the 19th-century, located a short walk from the sho…. Overlooking Loch Goil in the Loch Lomond National Park this is a picture postcard setting….. Located on the Southernmost tip of the Isle of Skye, this Victorian hotel offers award-win…. Edwardian country house on the west coast of Scotland. Spectacular sea views and private b…. From the moment you arrive, you will feel the warm and friendly atmosphere created in this…. Fern Villa is a small family run Guest House offering Bed and Breakfast accommodation in t…. The Glenorchy Lodge Hotel is the newest couples retreat in the Highlands of Scotland. Tuck…. WE ARE OFFERING ALL LATE ROOM CUSTOMERS COMPLIMENTARY WINE – PLEASE OBTAIN THE WINE CODE D…. Stunningly situated by the sea, all twenty bedrooms enjoy magnificent sea views and all ar…. The Isle of Mull Hotel & Spa sits on the crescent of Craignure Bay and enjoys stunning vie…. Kilcamb Lodge Hotel is a small, luxury Country House Hotel. Our ethos is based on a simple…. Kilfinan Hotel has been welcoming travellers since the 1760s. The spectacular Highland sce…. The family-run Kings Knoll Hotel has magnificent views overlooking Oban Bay and the Sound …. With panoramic views of rugged mountains, pretty lochs, and tranquil islands, this 4-star …. Overlooking beautiful Loch Fyne in the Historic town of Inveraray. Loch Fyne is the ideal …. This comfortable and friendly family run hotel is located on the romantic coast of Argyll …. The Lochgoilhead Hotel is within the Loch Lomond and Trossachs National Park. Backed by mo…. 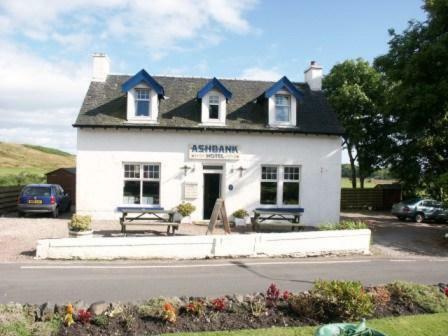 The Nevis Bank Inn is a 4-star hotel located on the banks of the river Nevis, 4 miles from…. Our gorgeous hotel, located on the edge of Oban’s picturesque esplanade, is the perfect sp…. Choose Oban’s landmark building. Rising from the waters edge, the historic Oban Caledonian…. Superbly situated on the shores of Loch Linnhe with attractive gardens extending to the wa…. The Regent Hotel is located in Oban, situated on the esplanade, opposite the pier, 90 mile…. The Royal an Lochan, offers 11 luxury en-suite rooms, most having views over the stunning …. The Royal Hotel stands in the centre of town close to the harbour and ferry terminal. Its …. Once the home of the Royal Clyde Yacht Club this beautiful Tudor style building stands at …. The Selborne Hotel is a beautiful base from which to explore the rugged mountain scenery o…. The Stewart Hotel is set in over 4 acres of secluded woodland gardens by the River Duror j…. Stonefield Castle Hotel is located in Tarbert, on the Mull of Kintyre, Scotland. Set withi…. 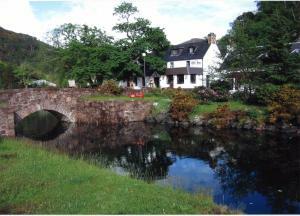 The Tailrace Inn is situated in the centre of the scenic and historic village of Kinlochle…. 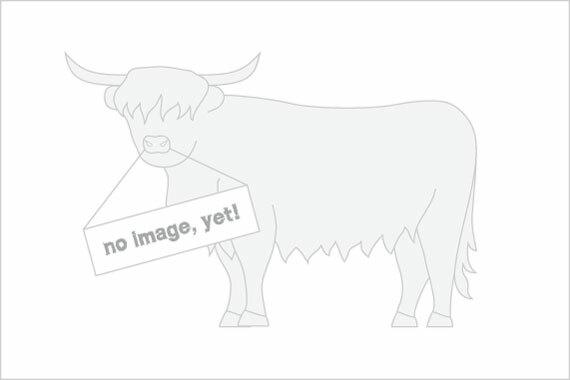 Tarbet Guest House is situated In Scotlands first National Park and has an elevated positi…. Taychreggan Hotel is located on Loch Awe in Argyll, Scotland, within 15 miles of Kilchurn …. Once a historic Coaching Inn, Taynuilt Hotel now has all the modern amenities of a comfort…. The Airds hotel and restaurant is an 18th century converted ferry inn which has over the y…. An irresistible mix of history and style with modern comforts. Glide through the dramatic …. The famous Creggans Inn on the shores of Loch Fyne offers visitors relaxed quality in a st…. You won’t believe this place! From the outside it looks like it’s falling down. The only c…. Experience the best in Scottish scenery in the beautiful and historic surroundings of Glen…. For centuries travellers have enjoyed the warm welcome at this family-run Inn on the shore…. Positioned on the side of a peninsula reaching into Loch Leven, The Isles of Glencoe Hotel…. Nestled in Argyll, just a short journey from Scotlands Central Belt, the Cowal Peninsula i…. This Scottish Hotel offers excellent accommodation for those visiting the Argyll area. Its…. Why not stay at the hotel which our customers have described as having The Best View In Th…. Small family run with large rooms overlooking the Kyles of bute.This Highland Village is l…. TREGORTHA IS SITUATED IN THE HIGHLAND VILLAGE OF TIGHNABRUAICH ON THE KYLES OF BUTE, THE J…. 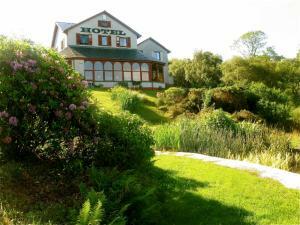 This homely hotel sits on the hill top overlooking Tobermory, allowing the most breathtaki…. The Wide Mouthed Frog Hotel and Restaurant is located at Dunstaffnage Marina, just a 5-min…. Adamton House is an impressive country hotel set in 19.5 acres of private grounds, with fr…. Standing proudly within Ayr Town Centre, The Ayrshire and Galloway Hotel is THE place to s…. This is a beautifully refurbished Victorian Property situated on the same road as Prestwic…. The McKever Belleisle Country House Hotel is ideally situated on its own Ayrshire estate w…. A warm friendly welcome awaits you at the family run Belmont Guest House. Ideally situated…. The new Brisbane House Hotel, located on the seafront promenade of Largs, North Ayrshire w…. Burnhouse Manor Hotel truly is a unique destination. Set amist some of Scotlands most idyl…. bytheSea is situated within a prime, central location 100 yards from the beach, childrens …. Canter Holm Guest House is a family run Bed and Breakfast, recently refurbished yet displa…. Craggallan is situated within a prime, central location 100 yards from the beach, children…. Victorian terraced house situated in a quiet town centre location.All rooms beautifully fu…. Daviot House is a Victorian, 4 star, terraced home situated only a stones throw from Ayr B…. Enterkine Country House is 5 minutes from Glasgow Prestwick Airport and the towns on Troon…. The Fairfield House Hotel basks in a picturesque seafront location on the Ayrshire coast i…. Glencloy Farmhouse is set in a peaceful glen just outside the village of Brodick on The Is…. Family operated hotel situated in the cosmopolitan area of Irvine Harbourside, with 4 bars…. With panoramic views over the clyde to the Isle of Arran and only five minutes walk to Ayr…. Situated only five minutes from the centre of Kilmarnock and only 20 minutes from the Glas…. Ideal if you are looking for a Prestwick Airport Hotel or Guesthouse, Kidron situated a fe…. This family run guest house welcomes all late arrivals and early departures. 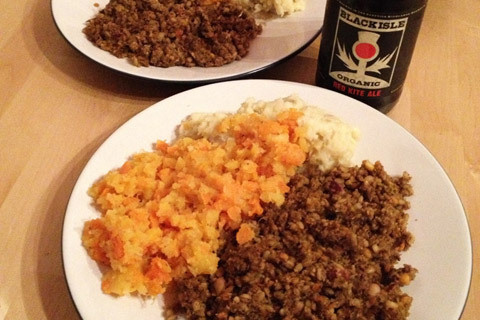 Full Scottish…. A veritable oasis of peace and relaxing tranquillity with magnificent views over the Firth…. 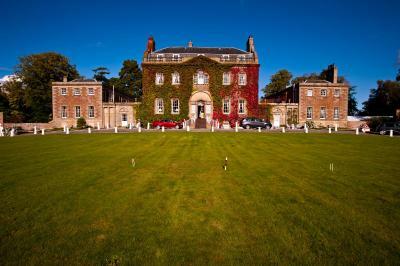 The Manor Park Hotel, at Glasgow Prestwick Airport is a stunning Country House hotel locat…. The modern Menzies Irvine Hotel is set in its own grounds, two miles from the center of Ir…. Mercure Ayr is located in the town centre walking distance from the shops, bars, restauran…. Moorpark House has, over the past 4 years, undergone a multi million pound refurbishment a…. The North Beach has always had an enviable reputation for ambience, cuisine and friendline…. Fantastic New Country Pub, Restaurant and Hotel – Now Open after 1.8million investmentThe …. Piersland Lodge was built in 1899 by William Leiper, as the home for Sir Alexander Walker,…. An ideal location surrounded by beaches, only 5 miles from Ayr town centre with shops, bar…. Surrounded by the beautiful coastline of the Firth of Clyde with good access to Kilmarnock…. Ideally located within easy reach of the A71 and M77. Irvine, Ayr, Prestwick and Glasgow a…. 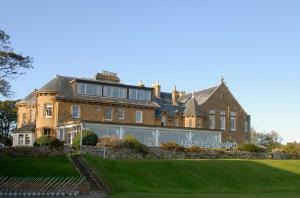 Although the Prestwick Old Course Hotel is recently under new management the building has …. You are invited to feel welcome and comfortable at this professionally operated hotel, Ayr…. St Andrews is a small friendly hotel with 8 en suite bedrooms, restaurant bar and games ro…. The oldest hotel in Ayr, the Swallow Station Hotel is housed in an imposing, four storey V…. The Eisenhower at Culzean Castle is a small, country house hotel, located on the second fl…. From the moment you arrive, you are assured of a warm Scottish welcome in this family run …. Only 20 minutes from Glasgow Airport and city centre and Glasgow Prestwick International A…. VOWS – Best Scottish Wedding Venue!Set in the midst of picturesque golf courses and only m…. The Ivy Rooms is a converted Victorian townhouse situated in Ayr, just 200 metres from the…. Set on the beautiful Ayrshire coast looking out to the romantic Isle of Arran- only 30 min…. The Park Hotel offers contemporary, unique and luxurious accommodation in the heart of rur…. Spacious townhouse, decorated to a high standard throughout. This family-run guest house i…. The Inn is refurbished but has retained the old country inn atmosphere. In the bar area yo…. No Frills Budget accommodation located in the centre of Troon. Ideal walking distance to T…. A warm Scottish welcome awaits you at Turas-Mara. This beautifully maintained victorian vi…. A truly Scottish icon, Turnberry Resort, Scotland enjoys a spectacular coastal setting wit…. Western House Hotel is located in Ayr, on the town’s horse racing course. It is two miles …. Imagine being lulled to sleep by gentle waves and exploring rock pools in the bay. Far eno…. A traditional Scottish hotel, located in one of Scotlands most scenic areas. It comprises …. Argyle House is a cosy Guest House retreat in Tomintoul village, which is centrally locate…. The Craigellachie Hotel is located in Craigellachie, 40 miles from Aviemore, 50 miles from…. Located in beautiful Ballindalloch, this is a traditional Scottish hotel with a big highla…. 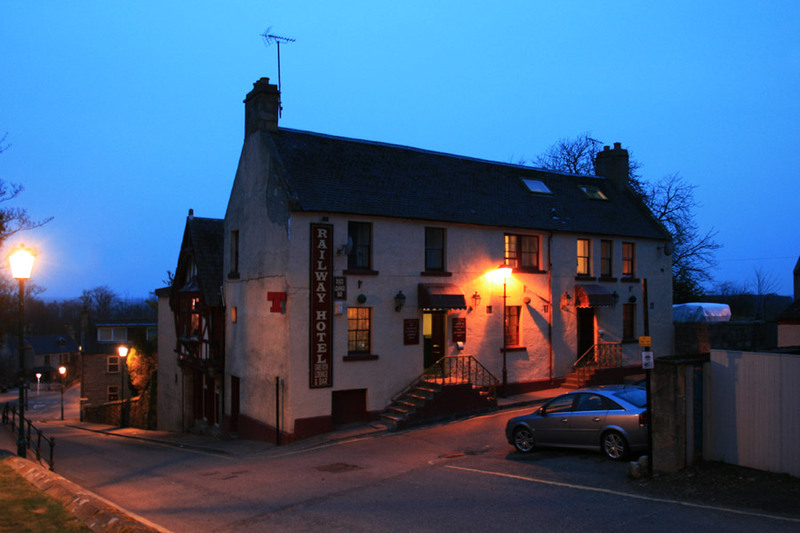 Dating from the 18th-century, the Allanton is charming coaching inn located in Berwickshir…. Large rooms ideal for anyone visiting the Scottish Borders. Standard rooms good for more t…. 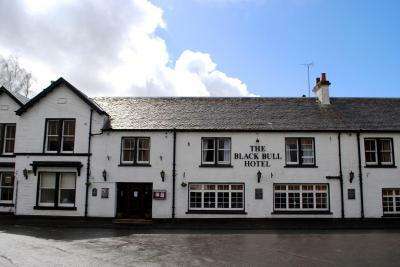 The Black Bull Hotel in Lauder is an independent, family-owned hotel with dining rooms and…. A Traditonal Scotish Inn with Bar, Lounge, Resturant and Pool Room. Car parking is right n…. A friendly village inn dating from 1680. Our award winning restaurant makes good use of lo…. 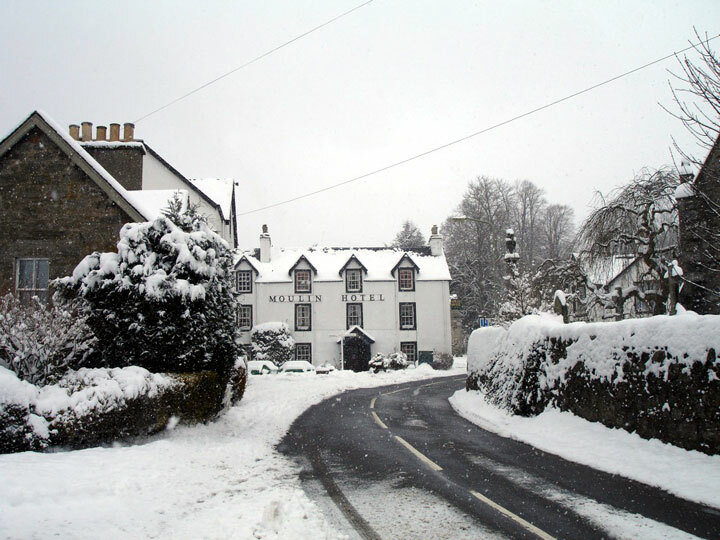 A warm Scottish welcome awaits you at the Wheatsheaf Hotel in Scottish Borders from husban…. Only 4 miles from the ferry terminal at Brodick, Altachorvie is situated on the east coast…. Nestling in acres of extensive and crisply landscaped gardens, the elegant refinement of t…. Our Spa Resort is a unique blend of traditional values of service and quality as well as e…. Belvedere is appropriately named, enjoying unrivalled views across Brodick Bay towards Goa…. Not many views come close to the ones you’ll enjoy from this seafront location.A challengi…. Set in the beautiful village of Lamlash on the Isle of Arran, this traditional Scottish ho…. Newly refurbished shorefront hotel, centrally located in the village of Lamlash, most room…. 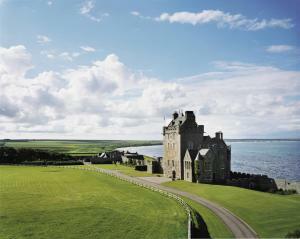 Ackergill Tower is a striking 15th-century castle just 17 miles from John O’ Groats. Thi…. Two minutes walk from the town centre, with Golf, Fishing, Tennis and Swimming all very cl…. This is the sister Hotel of the Weigh Inn, which now offers 9 newley refurbished non-smoki…. Six bedrooms – four with en suite Centrally heated and fully double glazed Colour TV and t…. The Holborn is a family run hotel situated in Thurso, a 5-minute walk to the beach. It off…. The Swallow Norseman is a modern, three storey hotel in a riverside setting, 200 metres fr…. Located close to the centre of the small town of Thurso, this is an excellent base for exp…. We are a small family run hotel in the far North of Scotland with breathtaking views of th…. The St Clair Arms Hotel Caithness was bought in June 2007 by Andrew and Sandy Mackay, two …. The Brown Trout Hotel, situated in the historical village of Watten near Loch Watten, offe…. Nestled in the curve of the beautiful Dunnet Bay, Castletown is a picturesque fishing vill…. Situated overlooking the Pentland Firth with panoramic views of the Orkney Islands. The We…. Broomhall Castle is a small family owned 10 Bedroom Hotel with its own restaurant, bar and…. From the moment you walk through the door you will be struck by the warm and freindly atmo…. We are a small privately owned hotel with 9 ensuite bedrooms who take pride in the quality…. Only a minute from the A74(M) motorway, The Annandale Arms Hotel offers an award-winning r…. Located on the 100-acre Crichton Estate, Aston Hotel – Dumfries offers free Wi-Fi, good br…. 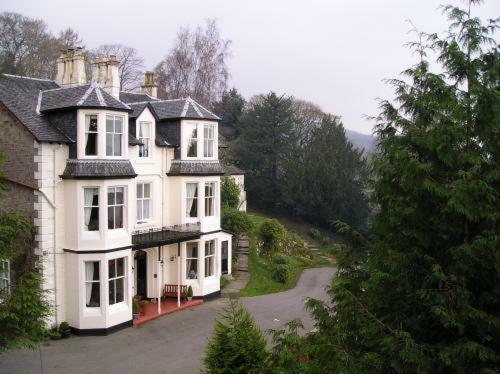 The Balmoral is a small 16 bedroom hotel situated in Moffat, a lovely small town in Dumfri…. Privately run, this 17th Century mansion enjoys beautiful countryside surroundings.You wil…. The Best Western Moffat House Hotel is located in the centre of Moffat, Scotland, less tha…. This friendly and comfortable traditional Victorian hotel is 5 minutes’ walk from the pret…. The Cairndale Hotel and Leisure Club is ideally situated in the centre of Dumfries opposit…. Winner of ‘Scottish Small Hotel of the Year 2008’, this luxury hotel is set in 6 acres…. The Days Inn Gretna Green is a modern, red brick hotel located one mile from Britain’s wed…. Overlooking Annandale Water, this Days Inn hotel is just off the A74M motorway, about 25 m…. Welcome to the Ecclefechan Hotel in Dumfries and Galloway. A listed building which began l…. This fine Scottish Baronial Hall is most famous for its connections with the celebrated po…. The Gables Hotel is located in Gretna Green, set amongst lawned gardens, floral borders, a…. The hotel was built in 1710 and is the original marriage house in Gretna Green. Situated i…. A WARM WELCOME AWAITS YOU AT THE HAZELDENE HOTEL WHETHER YOU ARE HERE FOR A WEDDING, BUSIN…. Set in 18 acres of private parkland, Hetland Hall Hotel serves local produce on its Scotti…. Surrounded by the unspoilt natural beauty of the Galloway countryside, this charming forme…. Situated just 10 miles north of Gretna and well located in a scenic area of south-west Sco…. Our aim is to ensure that you have a relaxing stay; the spacious accommodation with real l…. The Moreig Hotel was a Victorian private townhouse and was converted to a hotel in the ear…. We offer luxury en-suite accommodation, fine food, golf breaks, weddings, functions, and m…. For shops and local amenities Dumfries town centre is only 2 miles away.Conveniently locat…. This welcoming family run Hotel is situated conveniently close to the M74 motorway on the …. Smiths At Gretna Green is just 10 minutes north of Carlisle, and is the most hip and conte…. solway lodge is a relaxing family run hotel where you can be assured of a warm friendly we…. The Bruce Hotel is a 20-bedroom, 3-star hotel, centrally located in Newton Stewart in the …. The Hightae Inn is situated in the charming village of Hightae close to the River Annan. O…. The Manor is conveniently situated in the quiet rural village of Torthorwald, away from to…. An old coaching house recently refurbished with contemporary rooms, situated in an histori…. The Rondo is situated in the market town of Dumfries in South West Scotland. Positioned on…. Once a shooting lodge for Closeburn Castle, this country house offers a relaxed atmosphere…. Located in the picturesque setting of Rhu near Helensburgh, and overlooking the east side …. On the banks of Loch Long, The Arrochar Hotel boasts impressive views and free parking. Si…. Spoilt for choice with both Indian and American Bar Grill cuisine, from our Belushis Bar a…. De Vere Hotel Cameron House on Loch Lomond is a stunning five star Scottish Baronial Mansi…. Originally built as an opulant out of town residence for a wealthy Victorian Glasgow wool …. Formerly known as The Colquhoun Arms Hotel, this hotel is situated on the banks of Loch Lo…. The Lodge on Loch Lomond hotel truly is a unique destination set amidst some of the most i…. Situated in the outskirts of Dumbarton this Premier Inn is conveniently located between Gl…. Conveniently located between Glasgow City Centre and Stirling City Centre with regular tra…. Set amid landscaped gardens overlooking the Firth of Clyde, the Rosslea Hall Country House…. The Abbotsford Hotel is situated north west of Glasgow and we are literally minutes from L…. The Westerwood Hotel & Golf Resort is a four-star hotel, spa and golfing paradise which is…. The Village Inn is situated in the charming village of Arrochar. Set in its own grounds co…. Colstoun House Hotel is a boutique country house hotel located just outside Haddington, ar…. Ducks at Kilspindie House is the ideal base for exploring all that Edinburgh and the Lothi…. 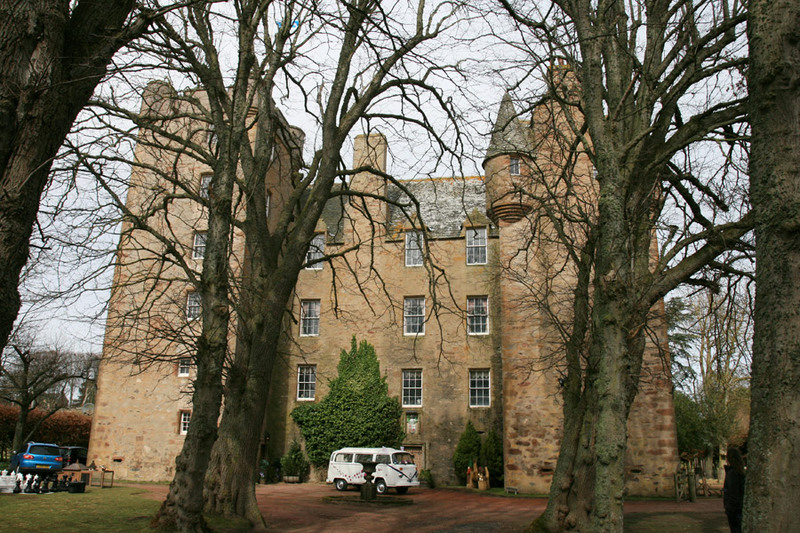 Fenton Tower offers luxury accommodation in a beautifully-converted castle…..
Nestled at the foot of a secluded rhododendron-lined drive on the outskirts of Haddington …. The Macdonald Marine Hotel & Spa in North Berwick is renowned for its beautiful coasta…. Maitlandfield House ambience is very special, you can relax by an open fire in the drawing…. The Nether Abbey Hotel has been owned by successive generations of the same family for fif…. Relaxing and comfortable furnished rooms overlooking the golf course and with sea views.Ea…. Small traditional coachin inn situated in this pretty Tayside village. We have three well …. Peacefully situated in the heart of historic St Andrews this elegant Georgian terraced hou…. This charming 250-year-old mill house is about 200 metres from Halbeath Road, the main roa…. Friendly, family run hotel in the hart of golfing country, located in Crail Nr St Andrews …. The Balgeddie House Hotel, superbly set within its own beatifully landscaped grounds and g…. In a quiet village close to Dunfermline, the spacious, secluded gardens and country house …. We seem to have a knack of offering appropriately-named accommodation. With “scores” of re…. close to all attractions 300 yards from railway station, edinburgh city centre is only 15 …. Among the verdant hills of the Scottish woodlands in the beautiful Kingdom of Fife surroun…. At Dakota we recognise that one of the greatest luxuries in life is time. Your time is pre…. CENTRAL LOCATION FOR BUSINESS CALLS TO EDINBURGH ONLY 14 MILES.ST ANDREWS AND STIRLING WIT…. A family owned 3 star hotel located in the leafy suburbs of Kirkcaldy. The Dean Park Hotel…. Drumoig Hotel is set amongst 330 acres with its own 18-hole championship golf course.Its a…. This is an 18th Century Georgian House Hotel which boasts many original features including…. The Elgin Hotel is set in the tranquil village of Charlestown, 5 minutes from Dunfermline….. Awarded an Intercontinental Hotels Group Torchbearer Award in 2006, 2007 & 2008 for ex…. On the edge of the town of Glenrothes, within easy reach of Edinburgh, Perth and historic …. Highlighting the best in Scottish resorts, Fairmont St Andrews is set within a 520 acre es…. FiVe Pilmour Place enjoys a unique location. The 18th green of the Old Course is a mere ei…. Situated just 25miles from Edinburgh and 20 miles from St.Andrews the Golden Acorn is the …. A warm welcome to Greyfriars… Our delightful hotel nestles in the heart of historic St …. The Inchview Hotel is located in Burntisland, 100 metres from the beach and 500 metres fro…. Set in 120 acres of scenic Fife countryside, Kilconquhar Castle Estate features a heated i…. Superbly located for access to the M90 motorway, and both the local and main line train st…. The Kingswood Hotel is an independent family run hotel overlooking the Firth of Forth on t…. The Lomond Hills Hotel is located in the village of Freuchie, three miles from Falkland Pa…. Built in the year 1900, this Country Style House has retained its former Edwardian eleganc…. St Andrews is a must-visit destination: from harbouring Royal romance, to its vast beach, …. Bordering the renowned 17th ‘Road Hole’ of the Old Course in the Home of Golf, the Old…. This country house hotel offers warm hospitality and friendly accommodation in a picturesq…. The Pitbauchlie House Hotel is located in Dunfermline, Scotland, 16 miles away from Edinbu…. Located within easy reach of the M90, junction 3. Situated on Fife Leisure Park with facil…. Glenrothes Premier Inn is situated between major roads that, reach Edinburgh and Dundee in…. With panoramic views across the Firth of Forth, the Brook Queensferry Hotel offers spaciou…. This turreted mansion house is set in 10 acres of award-winning gardens, one mile west of …. A superb location with spectacular views, stylish, yet comfortable with distinct individua…. Ideally located for visiting St Andrews, the home of Golf, which is only 6 miles away. Wit…. Only a 10 minute drive from St Andrews, The Symphony Craws Nest Hotel is set in one of the…. Situated only a short distance from five of the most prestigious golf courses in Scotland …. Situated in the picturesque village of Falkland with the Lomond Hills as a backdrop, The C…. Finished to highest standards, the hotel is the newest in Glenrothes. With modern bedrooms…. 400 years of Hospitality, since 1997 the Inn has held 2 rosettes with the AA for fresh fin…. The Town House Hotel is a family run Restaurant with Rooms in the small town of Markinch a…. The West Port Bar and Kitchen is one of the most popular bar restaurants in St Andrews tow…. The Woodside Hotel is located in the centre of the picturesque seaside village of Aberdour…. The Achility Hotel is an 18th-century inn offering bed and breakfast as well as free parki…. The Alexandra Hotel, part of the very fabric of Fort William, since 1876. Close to the sho…. All bedrooms have magnificent views of Loch Linnhe and the surrounding mountains.Comfortab…. Roy and Margaret King welcome you to Alvey House. Set on the outskirts of the Highland Vil…. Amhuinnsuidhe Castle is set on the banks of Loch Leosavay, offering a dramatic Hebridean s…. Ardlogie guest house is a friendly, relaxed establishment quietly located beside the River…. The Ardvasar Hotel was built in the early 1800s making it one of the oldest hotels on Skye…. In an area of natural beauty, overlooking Arisaig Bay towards the Isles of Eigg and Muck, …. Avalon is a modern, quality guest house and has recently won a Best BandB Award ranking 3r…. Next to the impressive conference centre the 3 star Aviemore Inn is a bright and airy hote…. The Balavil hotel is located in Newtonmore, surrounded by the Cairngorms National Park, on…. City centre location, ample parking, close to the theatre and castle.This is a family-run,…. The Ben Mhor Hotel is located in Grantown on Spey, 50 metres from Grantown High Street, th…. Our hotel is situated at the foot of Ben Nevis on the outskirts of Fort William close to t…. When you fill your days fishing, hill-walking and pony trekking, wouldn’t it be nice to sp…. In the centre of Fort William, the Best Western Imperial Hotel offers fine scenery, fine a…. Sitting on the banks of the River Ness opposite Inverness Castle, this stylish hotel is th…. The Best Western Lochardil House Hotel is the perfect way to relax in comfort and beautifu…. Once described as the most beautiful Regency House in Scotland. It was on Historic Scotlan…. Situated in Portree, the Islands Capital, our quality Hotel offers fresh, stress free acco…. Luxurious accommodation for the most discerning of guests. Each room boasts en-suite facil…. In 20 acres of beautiful landscaped gardens and woodland, on the shores of the Beauly Firt…. The Cairngorm Hotel is Aviemore’s premier independent hotel, with the staff offering a war…. 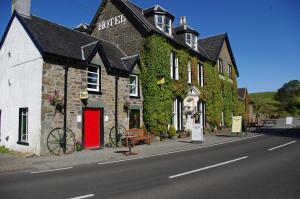 The Carrbridge Hotel is situated in an18th Century village deep in the heart of the Scotti…. The Chieftain Hotel, situated within walking distance from the Centre of Inverness, is the…. The Victorian, grey stone Swallow Columba Hotel, with its modern interior, is located on t…. In an area of outstanding natural beauty,nestling in large grounds.Free entry to a local L…. The Corriegarth is a friendly hotel in the Crown area of Inverness, just 2 minutes walk fr…. This beautiful former hunting lodge enjoys a spectacular location, set in 9 acres of woodl…. Set in a beautiful location amidst 4 acres of secluded gardens and woodland, the house com…. Perched in a Highland Forest near the famous Falls of Foyers, Craigdarroch House overlooks…. Built in 1880 this country house style hotel has a modern wing and is situated in a quiet …. Situated in a peaceful location on the shores of Loche Linnhe with spectacular views acros…. The Crown Court Town House Hotel is an 18th Century building, situated in the heart of Inv…. The Cruachan is designed with a traditional Scottish Highland faade and whilst the hotel h…. Set amid stunning peaceful scenery, Crubenbeg House offers you a very warm welcome.Our com…. The Cuillin Hills Hotel, Portree, on the famous Island of Skye enjoys some of the finest a…. In 40 acres of beautiful private grounds and gardens, this elegant Georgian country house …. Dalrachney Lodge offers a truly versatile residence with accommodation options to suit eve…. Dell Druie Guest HouseDell Druie is an impressive, modern, contemporary Guest House set in…. Distant Hills Guest House, Spean Bridge near Fort William provides visitors to the Highlan…. The Drumnadrochit Hotel is located in Drumnadrochit, next to Loch Ness in the Loch Ness Ex…. The Duke Of Gordon Hotel, is one of the Premier privately owned hotels situated in the Hea…. The Dunollie Hotel is nestled on the edge of Broadford Bay and is ideally situated in the …. John and Moira took over Eagle View in November 2004 and completely renovated the whole ho…. A warm welcome to Fairwinds – a little gem, a charming personally run small hotel near Avi…. Foyers House Bed and Breakfast has an enviable location, having the highest view point abo…. 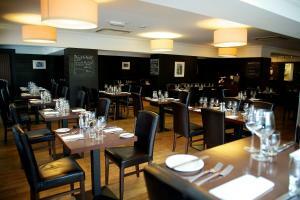 The Garth Hotel and Restaurant overlooks the square in the bustling Strathspey town of Gra…. The Glen Mhor Hotel offers Victorian townhouses and apartments located on the banks of the…. 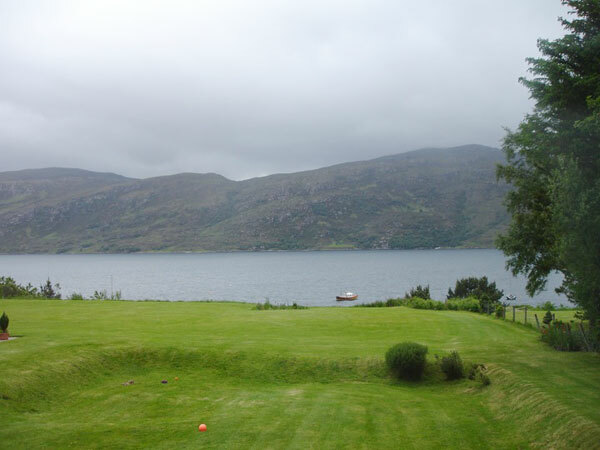 Glenan Lodge is a traditional country house with private fishing in a village location in …. Exclusive, small, friendly and very comfortable hotel. Free WiFi. Excellent Scottish break…. In the midst of the Highland glens, this grand property sits on the wooded shores of Loch …. Sitting on the banks of the River Ness, the Glemoriston Town House Hotel is a scenic retre…. Glentower Lower Observatorywe hope to welcome visitors from all walks of life and from all…. In a secluded 6-acre estate, Glenurquhart House has a fine restaurant, a bar and rooms wit…. The newly refurbished Grant Arms Hotel is in the very heart of Grantown on Spey. With 48 b…. The centrally located Heathmount Hotel is 10 minutes’ walk from Inverness Castle, and of…. Each spacious bedroom is en-suite and is decorated with large and original paintings by AN…. The Highlander Hotel Based in the village of Newtonmore, in the heart of the Scottish High…. We are delighted to announce the launch of the new dedicated website for the Hilton Coylum…. Choose Express by Holiday Inn Inverness & enjoy a great location in the Scottish Highl…. Built in 1888 and renovated in 2000, this hotel comprises a total of 16 rooms spread over …. In the heart of the Hebrides, this boutique-style hotel offers individually designed en su…. International Starters is a family run business that started as a restaurant in Edinburgh …. The Inver Lodge Offers A Tranquil Retreat From TheHussel And Bustle Of The Modern World. O…. Set amongst the beautiful Scottish West Highlands scenery, 19th-century Inverlochy is an a…. The Kings Arms Hotel is a first class property located in the picturesque village of Kylea…. The Kingsmills Hotel is set within acres of beautiful gardens and is situated one mile fro…. Laggan Hotel is located in the Cairngorm National Park and sits in an elevated position su…. Just the place to relax after climbing the Ben or walking the West Highland Way!Superbly-s…. 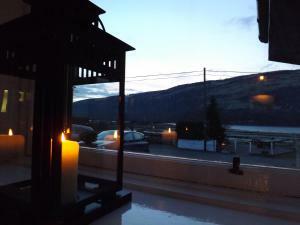 Small recently refurbished hotel overlooking beautiful Loch Lochy with a purpose built sun…. A warm Highland welcome awaits youSet on the shores of the most mysterious stretch of wate…. Situated in the suburbs, this Inverness hotel is close to Eden Court Theatre and Inver…. The Loch Ness Inn, conveniently located between Drumnadrochit and Urquhart Castle in the v…. In a beautiful, tranquil location in Drumnadrochit, beside one of the most famous and roma…. This hotel offers a home away from home in the heart of the magnificent Scottish Highlands…. The Academy Hotel within the Macdonald Aviemore Resort offers atractively-furnished and we…. You’ll find the hotels of Macdonald Aviemore Resort resting at the very heart of the Cairn…. The 3-star Macdonald Four Seasons Hotel’s 88 classic rooms and suites offer the finest vie…. Relax in style and complete comfort at the 4-star Macdonald Highlands Hotel.With 151 luxur…. Located at the head of Loch Leven, the area surrounding MacDonald Hotel & Cabins offers so…. Friendly and welcoming this family run Highland Inn is in the heart of Aviemore. 8 comfort…. With a beautiful location on the banks of the River Ness, this historical mansion features…. The Mercure Inverness hotel is set on the River Ness in the City Centre and has always bee…. This traditional hotel is set amidst the scenic splendour of the Cairngorm mountains and c…. Set in nine acres of parkland with spectacular views over the Moray Firth, the listed art …. Small comfortable country inn only 7 miles from Inverness Centre and 15 minutes from Loch …. 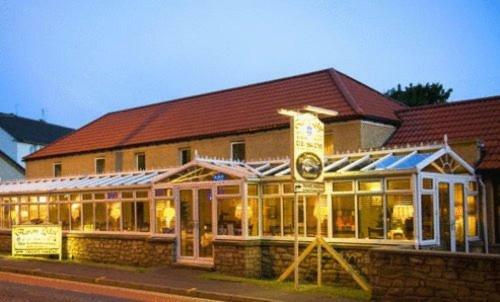 Old Pines is a small 3 star hotel located in woodland close to the Commando Memorial at Sp…. 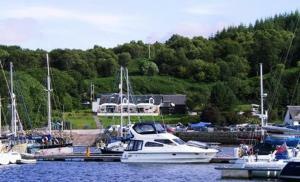 Park Lodge Hotel is a modern family run hotel in the upper part of Tobermory the property …. Polochar Inn is situated on the southerly tip of South Uist, on the waters edge overlookin…. The Portree Hotel is centrally located in Portree’s picturesque Somerled Square, an ideal …. Ben Nevis is a local attraction near to this hotel. In the heart of Fort William, this Pre…. Ideally positioned just a 10 minute walk from Inverness train station.This hotel makes an …. 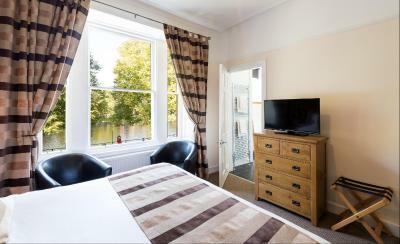 Located in the centre of Inverness, overlooking the beautiful River Ness. Situated on the…. An ideal location for the airport, this Premier Inn is just 6 miles from Inverness airport…. The hotel lies on the outskirts of Inverness just 5 minutes by car from the town centre.Th…. Please note this is a NON-SMOKING hotel Delightful hotel dating back to 1658, set in magni…. The Priory Hotel offers relaxed, yet refined accommodation situated in the picturesque vil…. Centrally located in Inverness city centre, but only 7 miles from Loch Ness (a 10 minute d…. Ravenscourt House is a Family run 8-bedroom hotel, stonebuilt in Victorian era. The hotel …. Very well located hotel set in quiet corner two minutes walk from city centre. Reserved of…. Situated in the heart of Inverness, this award-winning, luxurious boutique hotel, bar and …. Youll always get a great deal and a warm welcome at our privately owned and personally run…. 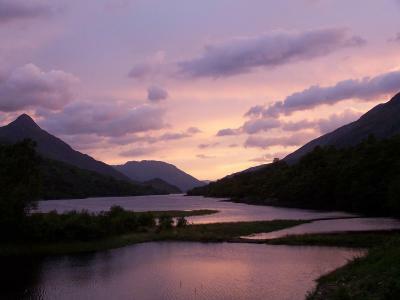 The Lochaber area is a fantastic destination for those who enjoy the many outdoor pursuits…. The Royal Highland Hotel is located in Inverness. It is next to the train station and busi…. At the very heart of the Scottish Highlands, amid the magnificent scenery of the Cairngorm…. The Skeabost Country House Hotel is located in Skeabost Bridge, Isle of Skye.Overlooking L…. Well situated in the beautiful Scottish West Highlands, the Hotel offers the ideal locatio…. The Boat Hotel, Boat of Garten is nestled deep within the heart of The Cairngorm National …. The Cnoc Hotel is situated within the Glens of Affric, Cannich and Strathfarrar. Family ru…. The Coach House is within the grounds of Dalrachney Lodge Hotel which is itself classified…. A large victorian building set in its own grounds situated a short stroll from the town an…. The Cross at Kingussie is a family run four star rated award winning restaurant with rooms…. This elegant Edwardian Hotel is located at the heart of the Scottish Highlands, the magnif…. Glenview’s positioning between Skye’s largest town of Portree and Uig, the ferry port to N…. Welcome to the coolest hotel in the Highlands! The Inn dates back to 1715, and has hosted …. Tucked away in some of the countrys most breath-taking scenery is Inverness, understandabl…. The Lovat (formerly the Lovat Arms Hotel) is located in Fort Augustus, 500 metre…. The Moorings Hotel lies alongside the Caledonian Canal at the famous Neptunes Staircase. W…. From the moment you stand at the front door of The Mountview Hotel to admire the peak of C…. Situated in 21 acres of mature parkland bordering Nairn Golf Course, home of the Walker Cu…. The Old Ministers House is ideally situated on the stunning Rothiemurchus Estate, which of…. With the picturesque harbour of Portree in the foreground and the view of the bay behind, …. In an area of outstanding natural beauty, with the awe-inspiring backdrop of the Ben Nevis…. This family-run hotel is situated on the south bank of the River Ness, a 3 minutes’ walk…. Inverness is the economic heart of the Highlands. Located just outside the city centre, Th…. 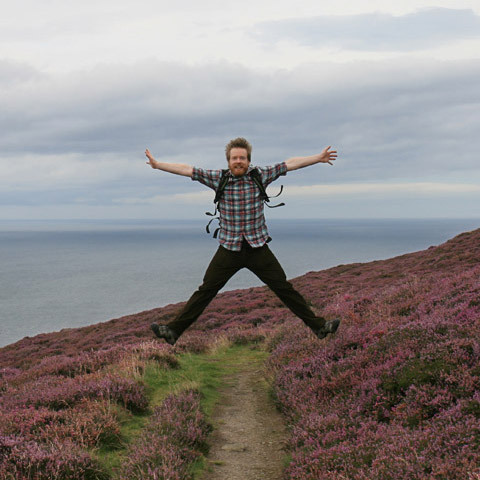 Whether you choose to visit our beautiful island to walk on mile after mile of unspoilt be…. Located in Cairngorm National Park,nr Aviemore – romantic, rural, elegant victorian countr…. Welcome to Toravaig House Hotel and Restaurant on the beautiful Scottish Isle of Skye, the…. Built in 1873 and once home of the Bishop of Moray and Rosshire, Trafford Bank is a unique…. Top 20 Finalist AA Landlady of the Year 2006. Rated AA Four Yellow Star. Les Routiers. Wel…. Whin Park Inverness Guest House Accommodation enjoys a quiet, peaceful location in the hea…. Winston is an attractive end terrace guest house accommodation situated in the heart of th…. The Green Hotel, Golf & Leisure Resort is set within the picturesque town of Kinross amid …. The Kirklands Hotel makes an ideal base for holidays or business in Scotland. It is centra…. Located on the outskirts of Kinross, just off the M90, The Muirs Inn is a picturesque list…. The Thistle hotel is ideally situated just off Junctions 6 North and 7 South of the M90 Mo…. The Windlestrae Hotel is part of the Green Hotel Golf & Leisure Resort, set within the pic…. We are a traditional Country House Hotel on the outskirts of Gatehouse-of-Fleet, set in ov…. The Galloway Arms Hotel began in 1750 with its original builder and founder Alexander Stew…. This historic, 18th-century townhouse is located in the heart of the harbour town of Kirkc…. The 17th century Coaching Inn in the centre of New Galloway – the last Royal Burgh in Scot…. Previously known as The Commercial and the Galloway Arms the Pheasant Hotel now offers exc…. The Ship Inn has been a hostelry since 1794 when ships moored in the bay to bring in daily…. A traditional country House Hotel in its own grounds extending to 14 acres of formal garde…. Less than a mile from junction 13 of the M74, this hotel is easy to find and features free…. The Abode Glasgow is situated in the very heart of the city, within walking distance from …. In a quiet, green area of Glasgow city centre, this boutique hotel has stylish bedrooms an…. Situated in Glasgow’s vibrant West End, Albion Hotel has colourful bedrooms with free Wi…. The hotel is in the city centre, 200 metres from Glasgow Central Railway Station. It has f…. On the banks of the loch in the grounds of the idyllic Strathclyde Country Park, Alona Hot…. A stylish hotel with a unique location overlooking the River Kelvin, in the heart of Glasg…. Apex City of Glasgow balances contemporary comfort, exceptional value, and a convenient ci…. This traditional family-run hotel is 800 metres from the SECC and Kelvingrove Art Gallery …. The stylish Artto Hotel offers 4-star bedrooms, free parking, free Wi-Fi and an Indian res…. Small guest househotel in the popular west end with many bars clubs resturants around. The…. Grade A listed, this is the finest example of Sir John Burnett’s baronial architecture.Com…. Already a wonderful place to stay, guests now get more style for their money thanks to a r…. There’s so much going on in Scotland’s style capital that you probably wont be spending mu…. Period features, named not because of their 18th Century heritage, but because of the amou…. Blythswood Square is more than a hotel and is an exciting addition to Glasgow’s City Centr…. Each room at the Botanic hotel features a full color television, tea/coffee making facilit…. The Campanile Glasgow is a hotel housed in a modern redbrick building 100 meters from to t…. Based right in the heart of Glasgow, adjacent to Queen Street Station and Buchanan Street …. The Charing Cross Guest House offers affordable accommodation in the heart of Glasgow. The…. 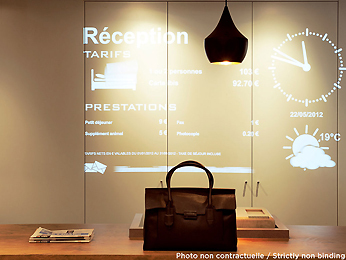 A collection of innovative concept, CitizenM is a hotel driven by one desire: to create af…. The City Inn Glasgow is located 300 metres from the Scottish Exhibition and Conference Cen…. The Clifton Hotel is housed in an impressive silver sandstone Victorian terrace building. …. A popular family run Hotel established in 1997. The Clydesdale Hotel is ideally situated f…. 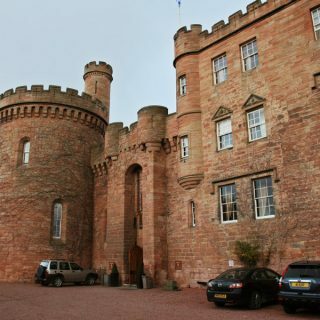 Crossbasket Castle is a luxurious country house hotel located just outside Glasgow, housed…. Welcome to Crowne Plaza Glasgow. A modern and stylish hotel overlooking the River Clyde, w…. The Halo Crowwood Hotel is a modern city hotel, situated on the outskirts of Glasgow offer…. Dakota Eurocentral is the next generation of Dakota following the award winning launch of …. The Days Inn Abington is a modern hotel, situated next to the M74, 35 miles outside of Gla…. Days Inn have 14 great locations across the UK, our Hamilton hotel is ideally situated to …. Located between Glasgows retro West End and the City Centre, The Devoncove Hotel is a luxu…. The Elphinstone Hotel is a traditional and charming Coaching Inn situated in the centre of…. 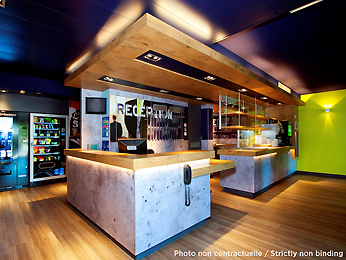 Etap Hotel – the smart traveller’s choice! Our modern, comfortable room can accommodate up…. This ‘B’ listed building in one of Glasgow’s most sought after Victorian Residential Terra…. Stay at the fully air conditioned Express by Holiday Inn Glasgow City Riverside and explor…. The 120 bedroom Express by Holiday Inn Strathclyde Park M74, JCT.5, is an ideal place for …. Perfectly placed in the city’s fashionable West End with free WiFi and free parking, the…. Re-opened in September 2010 after a £20-million refurbishment, this hotel is located at G…. Currently number 3 on Tripadvisor for Glasgow Hotels, Grasshoppers Glasgow – a new luxury …. The Hampton Court Guest House is situated in the heart of the city centre. The guest house…. Stylish, elegant and charming – a perfect description. The Heritage Hotel is in the artist…. We are a modest, budget hotel and cater for visitors and tourists alike. We recommend that…. With pride of place on Glasgow’s waterfront, the Hilton Garden Inn Glasgow City Centre, bo…. 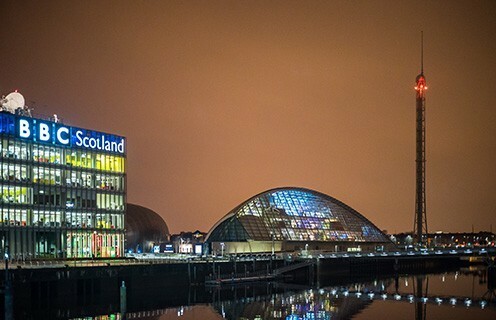 The centrally-located Hilton Glasgow hotel is only minutes away from Glasgow’s shopping di…. The Hilton Glasgow Grosvenor’s West End location provides the perfect base for exploring o…. Set between bustling cities of Glasgow and Edinburgh, the Hilton Strathclyde hotel boasts …. This magnificent hotel is ideally situated in the heart of the city within the Theatreland…. Enjoy the Holiday Inn Express Hamilton hotel’s convenient location next to the Palace Grou…. Located in Glasgow’s fashionable Theatreland district, the multi award winning Holiday Inn…. Holiday Inn Glasgow-East Kilbride, with its air conditioned guestrooms, is centrally locat…. Within a tree-lined Victorian terrace, this 5-star boutique hotel is located in the fashio…. The Hotel Indigo Glasgow , is an exciting modernization and recreation of a beautiful Vict…. 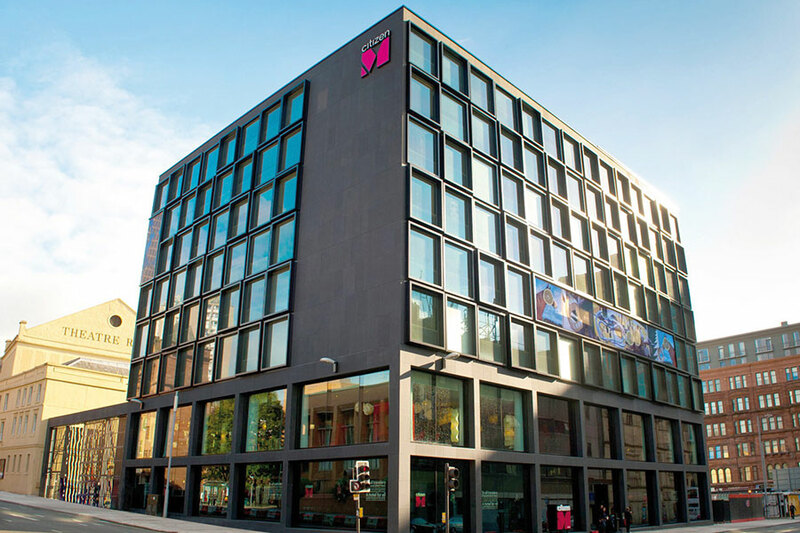 Ibis Glasgow hotel is centrally located, close to train stations, the M8 motorway and the …. Located 300 yards from Strathclyde Country Park and 15 minutes’ drive to Glasgow city ce…. The Jurys Inn Glasgow stands on Jamaica Street, adjacent to Central Station and overlookin…. A warm and welcoming family run hotel situated adjacent to Kelvingrove Park in the citys c…. All 26 en-suite bedrooms have recently been upgraded to include satellite television trous…. The Lomond hotel is located at the edge of Glasgow’s City Centre, in the heart of the upma…. In Glasgow’s West End, Lorne Hotel offers stylish rooms, free Wi-Fi and the award-winnin…. 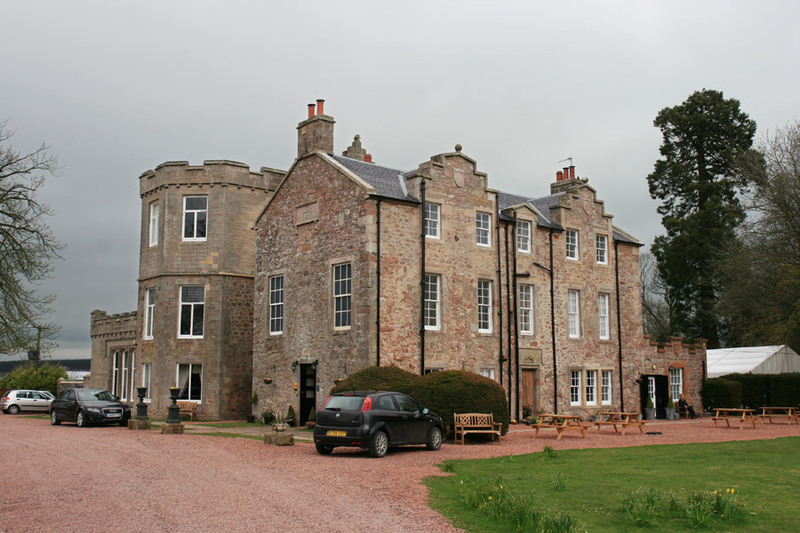 Macdonald Crutherland House was built in 1705 as a manor for Lady Dowager of Torrance Cast…. This converted church is a chic, modern 4-star hotel with a fine brasserie and stylish bar…. The Glasgow Marriott Hotel is a modern, 13 storey hotel located directly off Junction 19 o…. The strikingly contemporary Menzies Glasgow hotel enjoys a prime position at the heart of …. The Merchant City Inn Hotel is a well-appointed, contemporary 3 star hotel in Glasgow’s up…. As famous for its humour as its architecture and shopping, Glasgow is a dynamic, energetic…. The Millennium Hotel Glasgow, a looming Victorian building with stone facade, overlooks Ge…. We are a Scottish family run hotel of real quality, sitting proudly in a wonderful elevate…. New Lanark World Heritage Site is a truly unique setting. Surrounded by native woodlands a…. Newton Hotel is a family run business offering a range of high class rooms including singl…. No 10 Queens Drive, a double-fronted Victorian townhouse has been restored to its original…. A stylish AA 3 star New Generation Novotel in the city centre, within walking distance of …. Nestled in the suburban area of Dennistoun only minutes from Glasgow City Centre is the On…. Ideally located in Glasgow City Centre, 100 metres from Buchanan Galleries shopping centre…. Ideally located within easy reach of the A81. Local attractions include various golf clubs…. Perfectly situated between Glasgow and Edinburgh with easy,access to the M8 and M74, ten m…. Ideally located just off the M74. 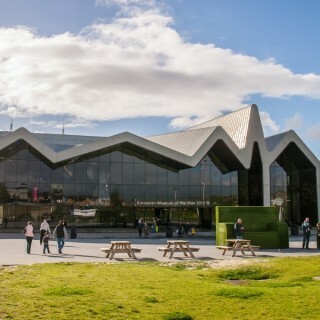 Local attractions include Tollcross leisure centre, Celt…. Ideally located within easy reach of the A81. Local attractions include Loch Lomond, Murra…. Located with close links to the M8, positioned between the city centres of Glasgow and Edi…. Situated on Phoenix Retail Park with a cinema and shops just a short walk from the hotel. …. A great city centre location, this hotel is conveniently located for amenities and attract…. Situated adjacent to Charing Cross train station in Glasgow,city centre, with excellent tr…. A great city centre location, this Premier Inn boasts a separate function suite suitable f…. Local attractions include the River Medina and historic Osborne House.For shops and local …. Ideally located within easy reach of the M74. Conveniently located for East Kilbride train…. Ideally situated for both business and leisure guests. For business this hotel is near to …. Situated on the bank of the River Clyde in the West of Glasgow City Centre. Access to the …. Ideally located within easy reach of the M80. Local attractions include Hampden Park and t…. The purpose-built, architecturally-striking Radisson Blu is the ideal choice for either bu…. This newly refurbished, contemporary hotel with landscaped gardens is in the centre of Udd…. A city centre hotel, just a short walk to major shopping center. Boasting an excellent loc…. The Rennie Mackintosh Station Hotel is one of the oldest Victorian buildings in Glasgow an…. The Sandyford Hotel is owned & run by the McMillan Family from Scotland who have been prov…. Situated in central Glasgow, the family-run Sandyford Lodge offers free Wi-Fi throughout a…. South Lanarkshires newest luxury hotel Situated in rural Lanarkshire overlooking the beaut…. The Sherbrooke Castle Hotel is a magnificent baronial building, situated on the south side…. This 800 year old castle situated in rural Lanarkshire offers elegant rooms in a baronial …. This traditional hotel lies one mile (two kilometres) from the shops, museums, and galleri…. A converted town house on the cosmopolitan West End of Glasgow. Within very easy access of…. Adjoins one of Scotlands largest shopping Arcades ..The Plaza East Kilbride which hosts nu…. The Hotel is 4 miles from the city centre and 8 miles from Glasgow airport with great rail…. The recently redeveloped Commercial Hotel and Bar is situated in the heart of the town of …. The Fullarton Park Hotel is a thriving business at the heart of the East End community. Du…. A small, friendly hotel centrally located 20mins from Glasgow and 40mins from Edinburgh…..
Having only eleven rooms means that we can offer our guests amazing quality at affordable …. COUNTRY STYLE HOTEL IN TOWN CENTRE, OVERLOOKING THE RIVER CALDER WITH OUR OWN WATERFALL. P…. Welcoming Traditonal village hotel in walking distance to Scotland’s largest undercover sh…. Thistle Glasgow makes an ideal base for exploring the many galleries, museums and other at…. 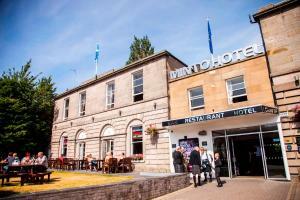 Tinto House Hotel, established in 1914, sits at the foot of Tinto Hill in the beautiful Sc…. The hotel offers a 24hr shuttle service to and from the airportEarly Check-in and Late Che…. 21212 is an exclusive fine dining restaurant with rooms located in the heart of Edinburgh…..
Centrally located in the Georgian New Town of Edinburgh, 28 York Place is easily accessibl…. This traditional Victorian town house offers free secure parking, free Wi-Fi, full Scottis…. Just 5 minutes’ drive from Edinburgh centre, Aaron Lodge offers free parking and free Wi-F…. On a quiet tree-lined terrace in central Edinburgh, this Georgian town house has private g…. The Abbotshead Guest House is part of a Georgian Terrace built in 1835. It is set in the S…. Nice Victorian house, close to the centre city. Family run business with 30 years of backg…. The Adria House is a well established, family-run and now FULLY NO-SMOKING guest house, ce…. The Agenda Hotel is located in the Corstorphine suburb of Edinburgh, Scotland, half a mile…. Situated on a peaceful city centre terrace, the Ailsa Craig offers elegant Georgian town h…. The Albany Ballantrae Hotel is located in the heart of Edinburgh, just a 10-minute walk fr…. The Allison House is a Georgian Listed building with many original features,overlooking Ar…. Situated in the heart of Edinburgh’s trendy West End. Angels’ Share recognises the gre…. Aonach Mor is nestled at the foot of Salisbury Crags and the dramatic Arthurs Seat. This s…. Apex City of Edinburgh Hotel is located in the heart of Edinburgh: steps away from the ecl…. One of the first things you’ll notice is the view. Located on the Grassmarket, Apex Grass…. Apex Haymarket Hotel offers contemporary accommodations at a great value. Minutes from Ha…. Contemporary design, classic architecture, and personalized service come together at Apex …. In Edinburgh’s West End, this friendly, family-run guest house offers free Wi-Fi, a rest…. 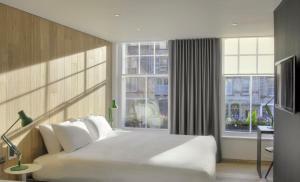 Guests can expect a very warm welcome at the Argus Hotel In Edinburgh, a 1-star, family-ru…. 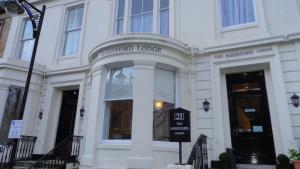 The Ballantrae offers 3 star hotel accommodation in the heart of the city centre of Edinbu…. Original Victorian Town House on a residential crescent, although only a 10 minute walk to…. Originally a bank since 1923, the Bank Hotel Edinburgh (Scotland) was converted into a hot…. Barony House can comfortably accommodate up to 14 people at any one time and we regularly …. Friendly and relaxing accommodation situated in the heart of Scotlands capital.The Ben Cra…. One of Edinburghs most central hotels, this renowned establishment offers warm surrounding…. This splendid Victorian hotel is blissfully secluded. That’s wonderful news for people lik…. This classic, yet contemporary townhouse overlooks Bruntsfield Links Park in a picturesque…. The Best Western Edinburgh Capital Hotel is situated in the west of the city and within ea…. Built in 1879 and remodelled in 2005, the Best Western Edinburgh City hotel is located in …. Four miles east of Edinburgh, this traditionally-styled hotel is ideal for guests who want…. The interior design is as what you would expect from a new hotel, gleaming and shiny, with…. Situated on the banks of the Water of Leith in a quiet secluded area, this property offers…. The Cairn Hotel is situated in the lively theatre district of Edinburgh with the old town …. Join us at Carberry Tower where our majestic castle provides the ideal setting to relax an…. This small, family-run metro hotel has easy access by bus to Edinburgh city centre, less t…. Situated just a short stroll from Princes Street and the Playhouse Theatre, the Clan Campb…. Traditional Victorian built house. Family run business, centrally located. Good quality an…. Situated on Shandwick Place, on the doorstep of Princes Street, the Clarendon Hotel has be…. Hearty Scottish breakfasts are served at individual tables in the new Conservatory. While …. Located in the quiet town of Penicuik, eight miles from Edinburgh city centre, the Swallow…. Family run city centre guest house.Ideally situated for the city centre restaurants, theat…. This beautiful country house from 1861, set in 28 acres of wonderful gardens, has 4 Red St…. Located in Edinburgh’s city centre is the Crowne Plaza Edinburgh – Royal Terrace with …. Experience the Combination of Georgian Grandeur and Modern Facilities at the Crowne Plaza …. The Cumberland Hotel lies in its own attractive grounds overlooking the main A8 tourist ro…. Is there a more memorable way of visiting Scotland than by staying in a luxury Scottish ca…. 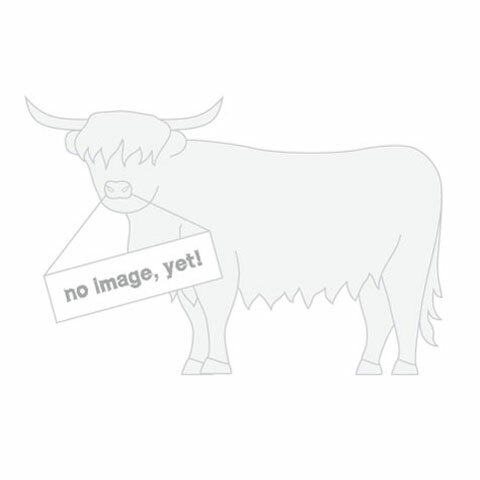 Dalmore Lodge is a 5 bedroom Victorian terraced villa run by Iain Macnab and Dot Scott.We …. If youre looking for a stylish hotel in Scotland’s capital city, theres only one place to …. The friendliest hotel in Edinburgh which combines country style and the tranquility of a s…. Rich in original character and traditional charm, this splendid detached Victorian residen…. 4 bedroom Cottage within walking distance of the city centre offering spacious and attract…. Maggie and Gordon welcome you to their Victorian family home, only a short taxi ride from …. Just a short walk from Murrayfield Stadium and Edinburgh Zoo, The Edinburgh Lodge offers f…. Originally built in the 1890s, this charming Victorian house is centrally located within a…. Established in 1924, the 3 Star Edinburgh Thistle Hotel is located in the prestigious, qui…. The Ellersly House Hotel in Edinburgh is an Ivy clad Edwardian country house set in seclud…. Welcome to the Express by Holiday Inn Edinburgh Waterfront offering complimentary breakfas…. From the hustle and bustle of the city centre, No. 4 Hill Street offers a calm retreat to …. In the heart of central Edinburgh, Frederick House Hotel is a Georgian townhouse offering …. Five-star luxury, with the warmest of welcomes. G&V Royal Mile Hotel, Edinburgh is a stunn…. Family run guest house offering clean and comfortable bed and breakfast accommodation. Sit…. Centrally located for all Edinburghs amenities – where a warm welcome assured where our ai…. A modern 5-star boutique hotel with floor-to-ceiling windows in the centre of Edinburgh, T…. In an ideal location to explore the spectacular historic city of Edinburgh and the surroun…. Granville Guesthouse is an elegant victorian house in the beautiful and lively city of Edi…. Boasting stylish rooms with plasma-screen TVs and wall-sized magnetic maps, this refurbish…. Grosvenor Gardens Hotel is a Victorian Listed building built around the mid 1890’s. It is …. Situated only a short distance from Edinburgh’s historic city centre, and close by Murrayf…. Welcome to the Harvest Guest House which has an enviable position on Edinburghs beach at P…. The Haymarket is a very centraly situated privately owned hotel where the emphasis is qual…. 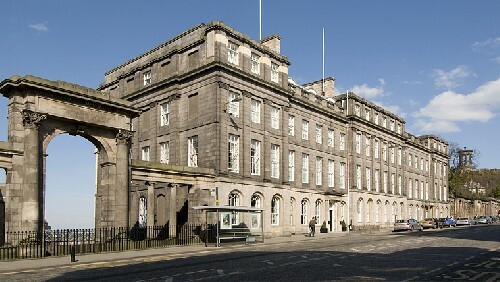 Herald House Hotel features a stone facade and is centrally located in Edinburgh. The hote…. Heriot Watt University is located in Edinburgh in a parkland setting, three miles from Edi…. Heriott Park is a comfortable Edwardian Villa where you can be sure of a warm, friendly we…. 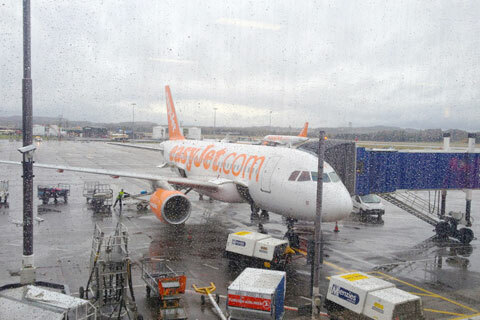 The Hilton Edinburgh Airport Hotel is conveniently located next to Edinburgh Airport, only…. Located in the West End of Edinburgh’s city centre, the Hilton Edinburgh Grosvenor hotel c…. The Holiday Inn Edinburgh is a modern hotel in the west of Edinburgh, three miles from the…. The Holiday Inn Edinburgh City West (formerly Holiday Inn Edinburgh North) is conveniently…. Enjoy the best of Scottish hospitality at the Holiday Inn Express Edinburgh City Centre ho…. Enjoy a warm welcome at the intimate Holiday Inn Express Edinburgh Royal Mile hotel, set i…. A short walk from the Royal Mile, nestled deep in Edinburgh’s Old Town, Hotel du Vin and B…. Set in the heart of the city centre and steeped in history itself, the hotel occupies five…. The Ibis Edinburgh Centre hotel is located in the centre of Edinburgh, not far from the Ro…. Inchgrove House is a fully restored 5 storey Town House situated in the heart of Edinburgh…. The International is an attractive Victorian terrace house situated 1.5 miles south of Pri…. Quality guest housebed and breakfast hotel in a charming victorian building. Very close to…. The Jurys Inn is a first class hotel located adjacent to the historic Royal Mile and Princ…. The Kaimes Guest House is only a 10 minute walk to the city centre. Here at the Kaimes Gue…. The Kenneth Mackenzie Suite in Edinburgh is a modern hotel set in the historic city center…. Welcome to Kildonan Lodge Hotel – a friendly, country-style 4* small hotel, located close …. Kingsburgh House is a splendid detached Victorian Villa situated in Murrayfield, one of Ed…. Small coaching inn with bedrooms on the outskirts of Edinburgh. Only 20 minutes by car fro…. At Lantern Guest House we aim to provide clean, comfortable and above all, affordable room…. Tastefully restored, Visit Scotland Rated 4 Star, Victorian Townhouse only a few minutes f…. Winner of Scottish Boutique Hotel of the Year 2009Le Monde is one of the premier boutique …. The Links Hotel has undergone a major refurbishment offering you a classic, yet contempora…. 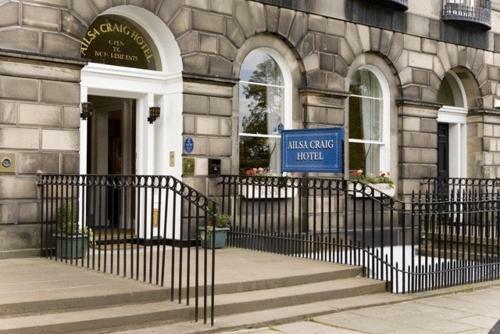 An elegant 4 star, AARAC 5 Diamond, central Edinburgh hotel, within easy walking distance …. The Macdonald Holyrood Hotel is set in Edinburgh’s historic and beautiful old town.Conveni…. Awarded STB 4 stars, Danny and Jasmine welcome you to the Mackenzie Guest House which is s…. If youre looking for a stylish hotel in Scotlands capital city, theres only one place to g…. The Marriott Dalmahoy hotel is located in a manor house six miles from the centre of Edinb…. The Edinburgh Marriott is a modern hotel situated in the business district of Edinburgh, t…. Traditional Victorian Guesthouse with the charm of the past and the comfort of today, righ…. The Mercure Edinburgh City Princes Street Hotel has spectacular views over Princes Street …. The friendly Merith House has en suite rooms with free Wi-Fi and satellite TV. With free …. Minto House opened in the summer of 2004 and we are proud to have built up a reputation fo…. Situated in the centre of Edinburgh, the Motel One Edinburgh-Royal is 5 minutes’ walk aw…. Located adjacent to Murrayfield Stadium on the West side of the city, the Murrayfield 3 st…. The MW Town House – quality Bed and Breakfast (BandB) in Central Edinburgh. We offer moder…. NBs is a lovely warm and friendly guest house in the merchiston area of edinburgh. It is a…. Situated just 10 minutes’ walk from Edinburgh city centre, No. 11 is a Georgian townhous…. Welcome to the Northumberland Hotel in Edinburgh, a traditional individually-styled hotel …. Built in 1840, Norton House Hotel & Spa in Edinburgh was always intended as a traditional …. An AA rated 4 star New Generation Novotel in the city centre, close to Edinburgh Castle an…. The modern 4 star Novotel Edinburgh Park is in an ideal location for business or leisure …. The Old Waverley Hotel is a Victorian hotel located on Princes Street, the main shopping s…. Built in the 1860s this detached Victorian town house once an ellegant family home offers …. This beautifully restored 3-star hotel is in Edinburgh city centre, just 300 metres from E…. The Piries Hotel is located in Edinburgh, Scotland, within 1.5 miles of the Royal Mile and…. The Point Hotel is the ultimate destination hotel, situated in the heart of Edinburgh, wit…. For shops and local amenities South Queensferry town centre is just a 15 minute walk.An id…. Within easy reach of the A1 and with Wallyford and Newcraighall Railway stations close by,…. This Premier Inn is situated by Fort Kinnaird retail park, next to Bannatynes Health Club…..
Our Dalkeith Premier Inn has everything you’d expect.Incredibly comfy beds in every room a…. This hotel is ideally situated less than 3 miles from Edinburgh International Airport, jus…. A fantastic location in Edinburgh city centre.Just a short walk from the hotel you’ll find…. Ideally located in Edinburgh city centre, at the West End of the city, 200 yards from Haym…. A fantastic location towards the west end of Edinburgh’s world famous Princes Street which…. Located just 3 miles from Edinburgh city centre, on a very good bus route. Holyrood Palace…. This Premier Inn is located within easy reach of Edinburgh city centre and is close to Oce…. An ideal airport location, this Premier Inn is 3 miles from Edinburgh Airport, and boasts …. Edinburghs most talked-about hotel and the only one in the city to receive the AAs highest…. The Quality Hotel Edinburgh Airport is a modern building located one mile from the airport…. Welcome to Queens Guest House in Edinburgh.A grand and elegantly restored georgian town ho…. The hotel has 238 spacious air-conditioned guestrooms, including executive rooms and suite…. A warm welcome awaits you at this attractive 17 room family-run 2 hotel, where the origina…. The Guest house is an old Georgian building in the heart of the upmarket Newtown area of t…. The Richmond House Hotel is ideally located for anyone wanting to explore Scotland’s capit…. A simple philosophy of comfort, quality and customer care have made Ricks 10 boutique room…. Situated 15 minutes’ walk to Edinburgh Castle and the picturesque West Princes Street Ga…. The Royal British Hotel is located on Princes Street in the centre of Edinburgh, Scotland….. Resting in the wooded neighborhood of Polwarth in Edinburgh, Scotland, is the Royal Ettric…. Positioned on Queen Street, the Royal Garden Apartments stand adjacent to the Queen Street…. Situated in the heart of Princes Street, directly opposite Edinburgh Castle, Royal Oversea…. Set in an 18th-century mansion house, Salisbury Green Hotel offers free Wi-Fi, free parkin…. The Sheraton Grand Hotel and Spa in Edinburgh nestles in the shadow of the city’s historic…. A family run Guest House 1.5 miles from the city centre on a main bus route. Recently reno…. Snoozebox Village, Edinburgh, is a contemporary mobile hotel purposefully erected for the …. Southside is a stylish and welcoming Guest House in the heart of the City close to the Old…. Stay Central Hotel is just a 3-minute walk from the historic Royal Mile. In the Cowgate, t…. Ten Hill Place is a modern hotel with a Georgian facade situated on the edge of Holyrood P…. Enjoying a city centre location (15 minutes walk from Princes Street, the Terrace Hotel fe…. Victorian town house with 7 well appointed comfortable rooms all with en suite or private …. In the true sense of the word, The Balmoral, with its majestic clock tower, is a stylish 5…. The Ben Doran guesthouse is a listed Georgian building in Edinburgh, Scotland. Edinburgh C…. The Bonham is easily the coolest hotel in Edinburgh. Classic timelessness and an uplifting…. Located on Princes Street in central Edinburgh, The Caledonian is a short walk from the Co…. The Carlton Hotel is a marvelous 4-star hotel, set in a traditional building, with all the…. A traditional Scottish Hotel in the heart of The Lothian’s, 32 En suite bedrooms. Perfec…. Following a change of ownership and a stylish refurbishment, the Edinburgh Minto Hotel onc…. The most distinguished collection of luxury townhouse suites in Edinburgh, offering a refr…. The George Hotel is a Grade II listed building located on George Street in the central sho…. The Glenora Guest House, previously known as the Glenora Hotel, has been awarded 4 stars b…. Edinburgh the Capital of Scotland is one of the most dynamic and beautiful cities within t…. Situated on the Royal Mile in Edinburgh city centre, The Inn on the Mile offers an alterna…. The Lairg Hotel is situated near the West End of Edinburgh, close to the Haymarket station…. In Newington, The Minto Hotel offers Georgian town house accommodation, free parking and a…. Number Ten is a magnificent 5-star Georgian townhouse located in the city centre with hote…. The Royal Scots Club is located in Edinburgh, 500 metres from the Princes Street Gardens, …. Welcome to The Rutland Hotel, Edinburgh’s most exciting and elegant new boutique hotel. S…. This 4-star townhouse hotel is located within the quiet residential area of Newington, jus…. The Scotsman Hotel, resides within the former Scotsman Newspaper building. Originally buil…. The Thrums is a 1-mile walk from the city centre and served by frequent buses. It has free…. Located in Edinburgh City Centre The Walton offers free limited off-street parking to gues…. Now under new ownership, the hotel offers stylish, comfortable accommodation in 10 recentl…. The Thistle Edinburgh hotel is a city centre hotel in Edinburgh, Scotland, just off Prince…. The Tigerlily Hotel is a fashionable boutique property combining the splendour of a five s…. Centrally located within Edinburgh’s fashionable Leith area just 1.5 miles from Princes …. Located in an historic sixteenth-century building at the gates of Edinburgh Castle, James …. Cluny Bank is a small, personally run hotel offering a homely welcome. We have ten bedroom…. 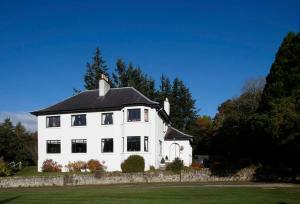 Close to Elgin town centre, Crerar Eight Acres Hotel is in 8-acre grounds, with a gym, a p…. Built in 1821 this beautiful country house hotel overlooks the picturesque Burgh of Forres…. Laichmoray Hotel is conveniently situated on the periphery of Elgin town centre, less than…. We offer luxurious, relaxing, stylish and informal accommodation and dining in our beautif…. Conveniently located for Elgin bus and train stations.For shops and local amenities Elgin …. Set in its own beautiful landscaped gardens just across from the award winning Grant Park …. Quietly situated, yet close to Grantown’s many amenities, Seafield Lodge is one of Speysid…. Built in 1895, the Stotfield House Hotel is located in Lossiemouth, Scotland, overlooking …. The Haugh Hotel is a traditional stone built small village hotel with 8 large letting room…. The Albert Inn is a cosy 8 bedroomed Inn in the picturesque town of Nairn. With a friendly…. The Braeval Hotel is a friendly family-run hotel situated in an area of stunning natural b…. The Claymore House Hotel is situated in a quiet area close to Nairn beach and championship…. The Covenanters Inn is located in Nairn, five miles from Cawdor Castle and 18 miles from L…. The Golf View Hotel and Leisure Club is situated overlooking the Moray Firth with gardens …. One of the best positions in Nairn Superb views overlooking the Moray Firth – look out and…. The Windsor Hotel is set only a few miles from Inverness and in the best residential area …. At Lavrockha we offer luxurious accommodation with all facilities for your comfort at comp…. Situated on the shores of Harray Loch, the Merkister hotel stands in its own grounds in th…. The Stromness Hotel is located in Stromness on Orkney, within two miles of Scapa Flow, a s…. Barony Castle is a beautiful mansion house built in 1536. Set in 25 acres, it offers a qui…. Winners of Guest House of the Year 2009 at the Scottish Hotel Awards Hard to beat this ret…. Privately run, luxury self catering accommodation with views over the river Tweed and the …. Castle Venlaw Hotel in Peebles, Scotland, is a luxury country boutique hotel set in the he…. 17C coaching inn with bar and beer garden. Centre of Peebles and convenient for all leisur…. Situated in Eddleston, in the picturesque Scottish Borders, The Horseshoe Inn features an …. Situated just outside Edinburgh, our four star hotel is the perfect venue for your next le…. Abbotsford Lodge provides Visit Scotland 4 star rated accommodation on the outskirts of th…. This hotel occupies a prominent position overlooking the village of Weem by Aberfeldy, an …. Acarsaid is a family-run hotel a short stroll from the town centre. It offers a great brea…. In 6 acres of gardens in scenic Perthshire, this 19th-century Georgian mansion is just 30 …. Once a coaching inn, the Alyth Hotel is in the Market Square of the pretty Highland villag…. In Glen Devon, this charming country inn has an excellent restaurant, free Wi-Fi and good …. A warm welcome to The Angus Hotel, Blairgowries premier leisure hotel and one of only four…. Youll find Ardeonaig on the south shores of Loch Tay, not far from the village of Killin. …. Opposite Blair Castle, the family-run 19th-century Atholl Arms is full of character, offer…. 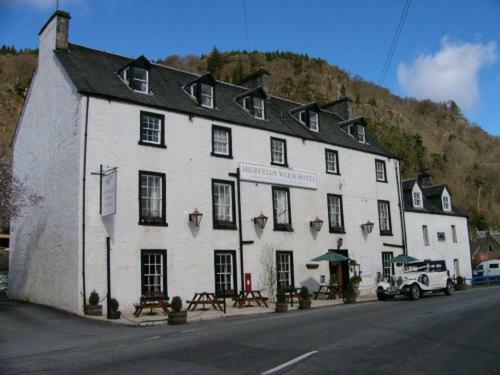 Situated in the heart of Dunkeld the Atholl Arms Hotel sits on Bridge Street overlooking t…. The Atholl Palace Hotel, the epitome of Scottish baronial splendour, stands imposingly ove…. 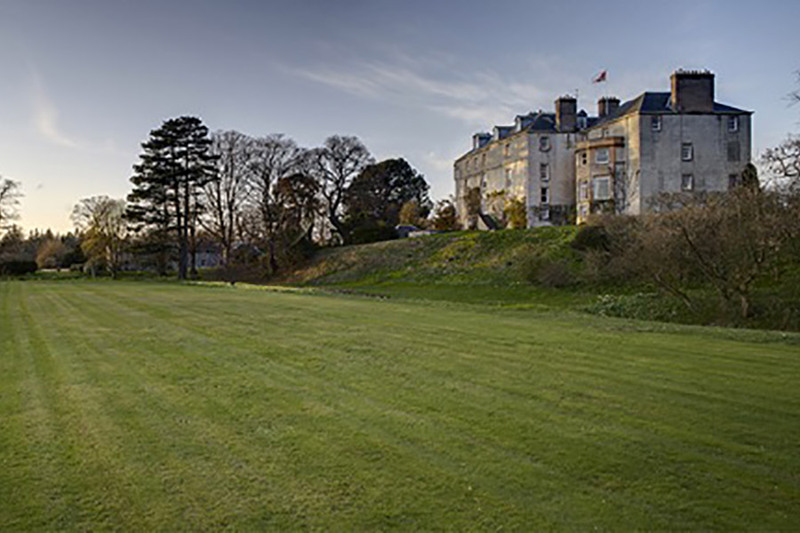 Ballathie House Hotel, is one of the UKs leading country house hotels situated on its own …. A special bed and breakfast experience awaits you!Eat, Sleep, Relax and enjoy the comforts…. With some of the most fantastic views and situated in the heart of one of Scotlands most b…. With a good dram of style and a healthy measure of charm, this excellent hotel is Scottish…. Comfortable 3 star hotel only an hour from Glasgow Airport and 30 minutes from Loch Lomond…. 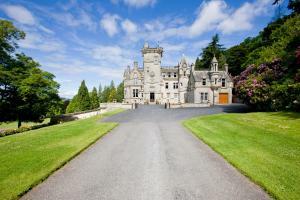 It is well renowned for hosting weddings and large functions in the magnificent Baronial H…. Anne and Brian Angus are delighted to welcome you to the Blackford Hotel in the heart of P…. Dating from 1870, the Bridge of Cally Hotel is a cosy and tastefully refurbished family ru…. The Bridge of Tilt is a former hunting lodge which borders the salmon rich waters of the R…. The Jubilee Cairn which stands at the entrance of Cairn Lodge, might well have been placed…. Set in the magnificent Tummel Valley, part of the spectacular Scottish Highlands, Pitlochr…. The Clachan Cottage Hotel is centrally situated 1 hr from Glasgow,Edinburgh,Perth and Stir…. Tucked away in secluded wooded grounds in the highland town of Pitlochry, this beautiful e…. This beautiful Victorian Lodge with many traditional features, has outstanding views over …. We are a family run hotel offering a warm welcome, relaxed atmosphere and excellent cuisin…. 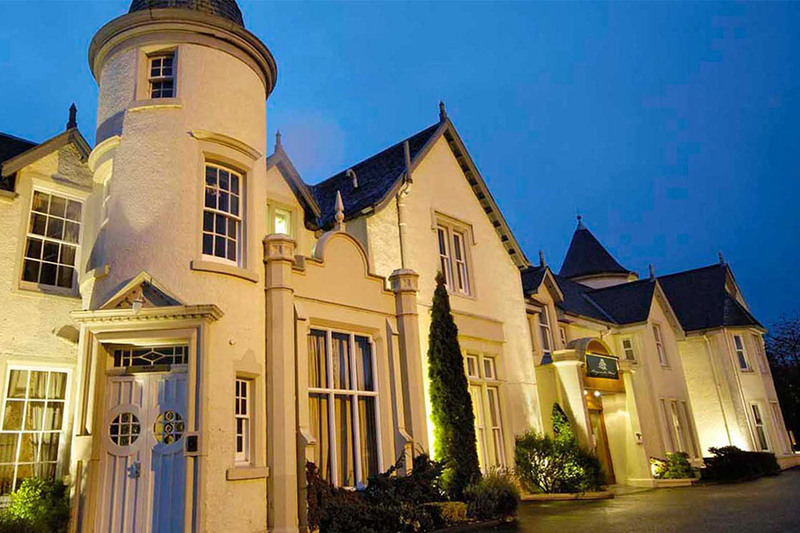 Crieff Hydro Hotel is a luxurious 4* Victorian hotel set in 900 acres of Perthshire countr…. Our rooms are large and spacious, all en-suite. They are tasfully decorated with period fu…. The Dalgair House Hotel is a small, friendly and comfortable family run hotel. The Hotel i…. Peace and tranquillity are a feature of life at Dalmunzie with fires & lounges contributin…. An 18th century country guest house set within one acre of secluded woodland and gardens, …. Set within 10 acres of private landscaped grounds, the Victorian style Doubletree by Hilto…. Originally built in the 17th Century by the Chieftain of the clan McNab as a hostelry for …. Excellent sandwiches in the bar, and friendly staff…..
Romantically situated in the picturesque Highland village of Kinloch Rannoch, 13 miles fro…. Centrally-located in a beautiful Victorian town of Pitlochry in the Perthshire Highlands, …. Family owned and family run hotel.We pride ourselves in offering a warm friendly environme…. The Gleneagles Hotel’s 850 acre expanse includes four golf courses, tennis courts, and …. Situated in the very heart of Scotland, the Ancient Country of Perthshire straddles both t…. The Grampian Hotel is situated in the centre of Perth close to the railway station and bus…. We are delighted to announce the launch of the new dedicated website for the Hilton Dunkel…. Choose the Holiday Inn Express Perth hotel, located near Perth town centre with good road …. The Huntingtower Hotel enjoys a long-established reputation as one of the area’s principal…. Formerly known as the Covenanter’s Inn, the Inchrie Castle closed in 2011.Please use the l…. The Inn at Strathyre is a cosy and welcoming property situated in the heart of Scotland….. 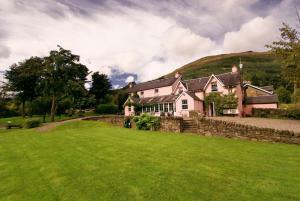 The caring and friendly staff at this very popular high quality bed and breakfast in Crief…. Having recently changed hands, Killiecrankie House is a personally run hotel in a beautifu…. Situated on the banks of the River Lochay where it joins Loch Tay, perfect for relaxing, s…. The Kirkmichael Hotel is a charming former roadside Coaching Inn set in the village of Kir…. Nestling in the idyllic hills of the Strathearn Valley a short hour’s drive from Scotland’…. Knockendarroch House Hotel is 12 bedroom Victorian Mansion set on a plateau of elevated ga…. The impressive Victorian mansion was built in the 1830s, commissioned by sir William Olgil…. 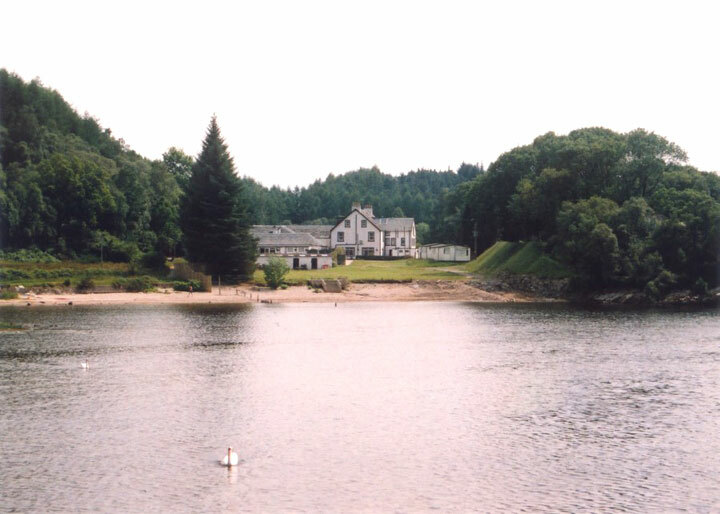 The Loch Tummel Inn is located just past the famous Queens View, ten miles from Pitlochry …. Our Macdonald Forest Hills Hotel and Spa is one of the finest 4-star hotels in the Trossac…. 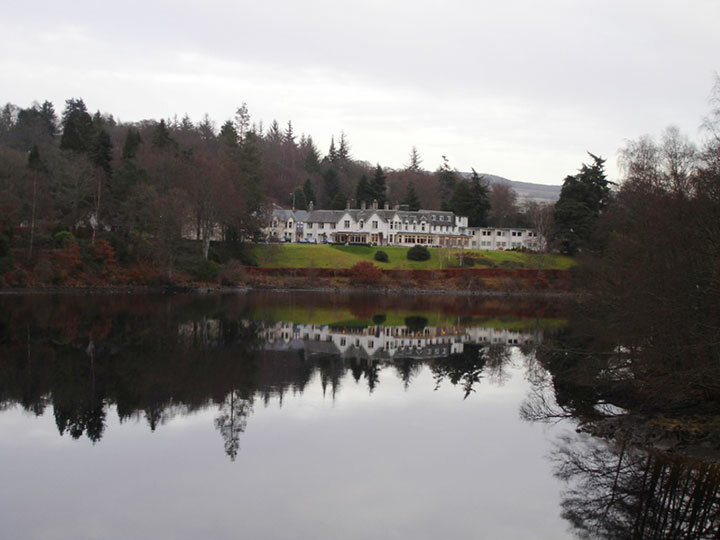 Nestled in the heart of the Highlands, the hotel is situated on the north shore above Loch…. Meikleour Hotel, outside Blairgowrie has welcomed visitors for nearly 200 years, first est…. As the gateway to the Highlands, yet situated in the heart of Perth city centre, Mercure P…. This luxury boutique hotel is nestled on the banks of Loch Voil in the Loch Lomond and Tro…. A traditional warm Scottish welcome awaits you at Moness House Hotel and Country Club.Set …. Choice is a watchword, bright modern or Victorian rooms, cosy country bar suppers or forma…. Set within 350 acres of private estate, 3 miles from the City of Perth, this 4-star luxuri…. The New County Hotel in Perth offers all the advantages of a modern boutique hotel, ideall…. Parklands is on an elevated site overlooking South Inch Park and the countryside beyond. I…. The Pine Trees Hotel is located amid 10 acres of gardens and woodland in the Highland town…. Poppies is one of the most charming small family owned hotels in the Trossachs and Nationa…. 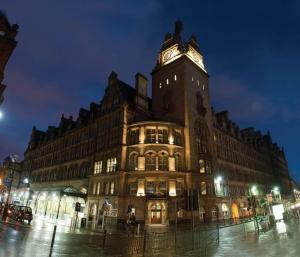 Housed in an imposing Victorian building in the city centre, the Quality Hotel Station Per…. The Rob Roy is wonderfully situated in idyllic countryside at the gateway to Scotlands fir…. Luxury country house – Secluded in 20 acres of gardens, on the banks of the River Teith, i…. The Rosemount Hotel is located in Pitlochry, one mile from the city centre, Pitlochry Fest…. This city centre hotel has 84 non -smoking en-suite bedrooms and dates from 1699. The hote…. In the heart of Pitlochry, Scotlands Hotel offers an indoor pool, gym, a hot tub and free …. The Spittal of Glenshee is the site of one of the oldest inns in the U.K. It is known that…. Accommodation The Inn has eight spacious bedrooms; 5 double, a twin and 2 family rooms. Al…. Sunbank House Hotel, built in early Victorian times (1853), is delightfully located in its…. Situated near the city centre with ample private parking and just a pleasant short walk aw…. Were located just off the A9 (the main road to the Highlands) in the scenic village of Ban…. We are a small privately owned hotel, where we have high standards and a reputation for Ex…. 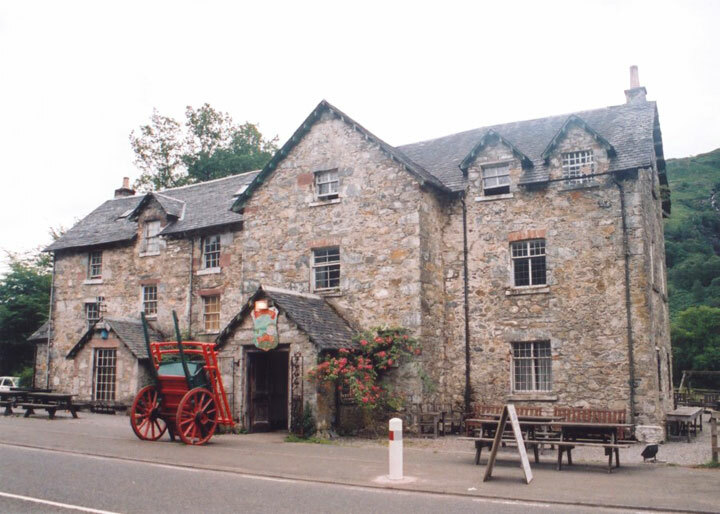 In the picturesque village of Callander, this traditional Scottish inn offers free Wi-Fi, …. The Famous Bein Inn was originally built as a resting place for travellers on the traditio…. Spend your days here enjoying the superb award winning AA rosetted food, pleasant homely a…. Scotlands Oldest Inn (1572) rests at the mouth of the River Tay in the conservation villag…. Our philosophy is to create a hotel which fulfils our idea of the perfect place to go and …. The Log Cabin Hotel is a gorgeous traditional Norwegian pine cabin set high in the picture…. The Longforgan Coaching Inn is a friendly family operated 18 bedroom Inn, with a small tra…. The Old Mill is a family owned hotel, offering excellent accommodation, food and service.R…. The Royal Hotel is located in Blairgowrie, within 15 miles of Glamis Castle and Scone Pala…. Situated in Callander, the Gateway to the Highlands and the self proclaimed capital of the…. An elegant Victorian house with stunning views, superb food and a sincere, friendly welcom…. Tyndrum Lodge is a family run hotel situated in the midst of some of the most stunning sce…. The Abbey Inn is a small hotel on the outskirts of the town centre of Paisley. It is ideal…. Set in an oasis of tranquility in the heart of Paisley’s heritage and entertainment dist…. The Beardmore Hotel was named Scottish Business Hotel of the Year at the Scottish Hotels o…. Set in the lovely conservation village of Eaglesham at the edge of the village green just …. Fore…! Sorry, but we really do need to make sure you look out for this hotel.Not that yo…. A refreshingly different hotel within a relaxed country club atmosphere. Tucked away in t…. The Busby Hotel is situated on the south of Glasgow in a tree-lined avenue beside the rive…. A warm, friendly welcome awaits you at this peaceful, restored mansionhouse nestling in se…. The modern Erskine Bridge Hotel is set in 18 acres of parkland on the River Clyde, 12 mile…. Stay right next to the airport at the Holiday Inn Express Glasgow Airport hotel. It’s just…. The Glynhill Hotel is ideally situated, just seven miles from Glasgows vibrant City Centre…. 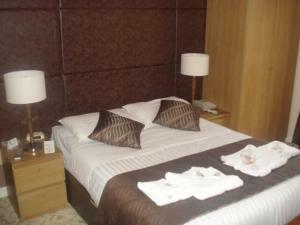 The Express by Holiday Inn Greenock is a friendly, modern 3 star hotel in Greenock and is …. The Holiday Inn Glasgow Airport is the ideal choice of hotel, whether you’re travelling fo…. Having recently undergone an extensive refurbishment, The Lynnhurst Hotel combines traditi…. Mar Hall has become recognised as one of Scotland’s Top Five Star Golf & Spa Resorts. It…. On the doorstep of Loch Lomond and yet close to the centre of Scotlands largest city, Glas…. An ideal airport location, this Premier Inn is just 0.25 miles from Glasgow airport.Braehe…. A 60 bedroom Premier Inn with meeting room for up to 10 in a boardroom format.Our Glasgow …. Just off the A8, alongside the waterfront on the site of a former shipyard, this hotel boa…. Conveniently located just off the M8 and only 500 yards from Glasgow’s thriving internatio…. The Redhurst Hotel Glasgow is situated in the south side of city in the picturesque surrou…. The Travellers Rest welcome you to stay over in one of our five recently refurbished bedro…. Situated in the Heart of Historic Paisley, built on a the site of a 17th century flour mil…. A Glasgow hotel in the countryside! Just 20 minutes from the city centre, Glasgow Airport,…. Located just 10 minutes from Glasgow Airport, the city centre and 20 minutes from the natu…. Welcome to the Balmacara Hotel, where Skye beckons from the front windows, the glorious hi…. Situated in a picturesque woodland setting in the spa town of Strathpeffer, this tradition…. The Caledonian Hotel is a tourist class hotel located in Ullapool, overlooking the harbour…. With stunning views of Strathconon Valley and the mountains beyond, this hotels secluded l…. Nineteenth century STB 3 star country house hotel situated in the lovely wild life rich Co…. The Cromarty Centre is a restored and converted 18th Century Brewery. Bed and breakfast or…. With spectacular mountain views, Gairloch Highland Lodge overlooks Gairloch Harbour. It is…. Located on Scotland’s West Coast in the pretty fishing village of Ullapool, the Glenfield …. Kincraig Castle Hotel is set on an elevated position in its own Grounds. The building has …. The Kyle Hotel is located in Kyle of Lochalsh, on the west coast of Scotland, overlooking …. Mansfield Castle is an imposing Victorian building set in 3.5 acres of picturesque country…. The Morangie House Hotel, a fine old Victorian mansion, is set on the northern outskirts o…. Situated in 40 acres of gardens and woodlands, Ord House Hotel retains its original 17th-c….
? Family owned and run hotel situated on the Black Isle? Set in a conservation village wit…. Recently awarded Good Hotel Guide Best Guest House Cesar award 2008.A small hotel situated…. Close to a small fishing harbour, The Old Inn has free parking and free Wi-Fi, near the Fl…. The Ord Arms is a self classified 8 bedroomed, 2 family run hotel offering a friendly, rel…. 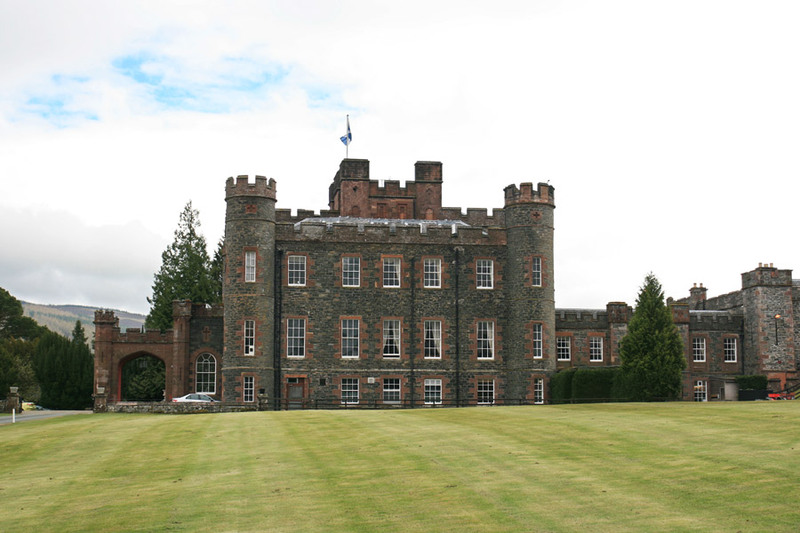 The Tulloch Castle Hotel is located in Dingwall and local attractions include the Upper Pu…. The Ullapool Hotel isn’t particularly flashy, but it is very comfortable and friendly. The…. Privately owned and operated the hotel is situated right in the heart of the beautiful cen…. Excelent food and a warm welcome in the beautiful setting of the Scottish Borders, Over 30…. The Liddesdale Hotel is located in Douglas Square at the heart of Newcastleton (sometimes …. Nestling in the glorious Border countryside of the Teviotdale Hills on the A7 between Lang…. 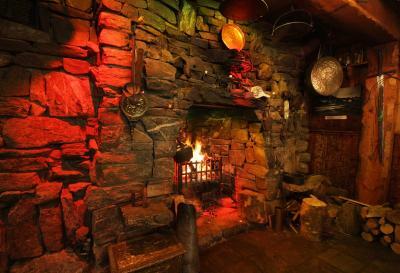 A Traditional Country Inn with Wood burning Stove, Real Ales and Fine Wines. All rooms rec…. The Buccleuch Arms Hotel is a small privately-owned country house hotel with 19 en-suite b…. The Farmhouse at Yetholm Mill can be found in Kirk Yetholm, in the Scottish Borders. St Cu…. The Roxburghe Hotel and Golf Course reflects the warm, friendly country house atmosphere t…. Welcome to the oldest continually-licensed hotel in Scotland. With parts of the building d…. If you’re looking for a room with a view, how about 4 acres of it?This former Dower House …. Escape to the country at the Clovenfords Country Hotel Our intimate family owned and run h…. 200 year old Inn – frequented by local poets, writers, musicians and artists.We are a hote…. Set between two lochs surrounded by breathtaking scenery, Tibbie Shiels has long been a po…. The Kveldsro House Hotel – The country home hotel in town. Perfect for the discerning busi…. A place of beauty, the St Magnus Bay Hotel captures the character of the Hillswick shoreli…. This lovely boutique hotel is centrally located in the picturesque village of Bridge of Al…. This resort sits majestically overlooking the River Forth, and the glorious countryside of…. The Antonine Hotel is located in the centre of Falkirk. With easy access to Glasgow and Ed…. The Best Western Buchanan Arms Hotel is reaping the benefits of a total transformation, wi…. When you stay at this hotel between Glasgow, Ediburgh and Stirling, you’ll experience the …. In 2013 it was announced that the Cromlix House Hotel had been bought by the tennis player…. Culcreuch Castle is a hotel housed within a 15th century castle and later mansion house. …. Delightfully central location overlooking Riverside Park and Meadows. 2 minutes to all ame…. Thank you for choosing the refurbished Express by Holiday Inn Stirling hotel. Guests at ou…. Explore the Loch Lomond and Trossachs National Park whilst staying at our 18th century his…. Glenskirlie House and Castle is perfectly-situated in the heart of Scotland. It is near St…. Hotel Dates back to 1786, one of Stirling’s first hotels filled with old world charm in a …. 3 Star Hotel Located across from Callender Park and the Grounds of Callender House.The Hot…. Large and smart hotel popular with coach parties. They are willing to phone up to the Inve…. Situated in the pretty village of Killearn, this small country inn-style hotel offers a bi…. The King Robert Hotel is a modern hotel situated in historic Bannockburn, which offers all…. TRADITIONAL FAMILY RUN HOTEL SET IN THE HISTORICAL PORT OF GRANGEMOUTH, CONVENIENTLY SITUA…. Nestled within extensive and serene estate grounds, Macdonald Inchyra Hotel & Spa prov…. Metro Inns Falkirk is situated half an hours drive from both Edinburgh and Glasgow, this m…. Ideally situated for both business and leisure guests. For business this hotel is located …. Situated in the centre of Falkirk this Premier Inn is conveniently located between Glasgow…. For shops and local amenities Falkirk town centre is only 2 miles away.Our Falkirk East Pr…. Located within easy reach of the M9 junction 7, with easy access to Edinburgh, Glasgow and…. Scotland's newest city is the gateway to Loch Lomond and the Trossachs – Scotland'…. Ideally situated just a quarter of a mile from junction 9 of the M9/M80 intersection.For s…. Situated on the rugged eastern banks of Loch Lomond in the magnificent Queen Elizabeth For…. Spoil yourself. For your next romantic or short leisure breaks in Central Scotland or for …. Set amidst 300 acres of beautiful parkland, the calm, tranquil surroundings of Stirling Ma…. 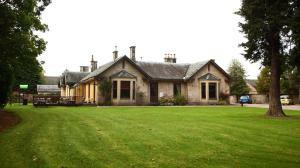 Built in 1874 as a family home Strathblane Country House Hotel retains its traditional cha…. Centrally situated, just off the main road, though in a peaceful setting with private park…. Just a short distance away from Glasgow and Cumbernauld and only a stroll away from Kilsyt…. The Coachman Hotel is a Lanarkshire hotel situated in the midst of the picturesque scenery…. The Graeme Hotel is perfectly located between the heart of Glasgow, Edinburgh and Stirling…. The Grange Manor is a family run hotel, and has an AA Two Rosette and A Taste of Scotland …. The Hawthorns was built in 1873 by the Duke of Montrose to attract a doctor to the village…. An entirely new genre of Scottish Inns, the Inn at Inverbeg is Scotland’s first boutique i…. Perfectly located within the tranquil parish of Strathblane near Loch Lomond, this inn, es…. On the east shore of Loch Lomond, this award-winning family-run country inn is constructed…. The Plough Hotel is perfectly located between the heart of Glasgow, Edinburgh and Stirling…. The Red Lion Hotel and Chinese Restaurant is the newest addition to Larbert.Located in the…. Dating back to 1854, the former high school of Stirling has retained many of the original …. Picture yourself soaking up the atmosphere of this 18th century inn near Loch Lomond, sitt…. The Walmer guesthouse is easily found, lying just off the M9 in Bridge of Allan, near Stir…. 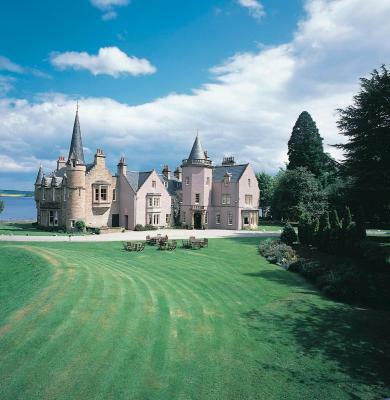 A 500-year-old converted Scottish castle, this hotel is set in the centre of Durnoch, oppo…. The Royal Golf Hotel is situated on the first tee of the Royal Dornoch Golf Club. Many roo…. Just an hour north of Inverness is one of the Highlands hidden gems – the Royal Marine Hot…. 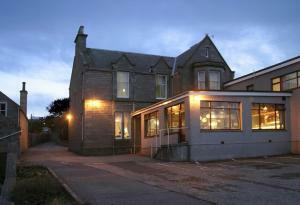 The Sutherland Inn is a small family run hotel in the centre of the village of Brora. The …. The last great Highland wilderness, fantastic river and sea fishing along with hunting pur…. The Eagle is nestled in the beautiful Royal Burgh of Dornoch in the Highlands of Scotland,…. This traditional Victorian Highland Hotel stands on the hillside overlooking the beautiful…. This hotel enjoys a wonderful location, as will any guest who stays here. Edinburgh, Glasg…. The Cairn Hotel is located in Bathgate, one mile from the town’s train station. It is 19 m…. The Kaim Park Hotel is set in four acres of beautiful gardens, with a wide variety of faci…. Set in 22 acres of beautiful woodlands, Macdonald Houstoun House is the perfect country re…. A modern, bright hotel situated on the M8, just 35 minutes from Glasgow and 20 minutes fro…. Orocco Pier, a boutique hotel only 20mins from the centre of Edinburgh.The awards and plau…. Located within easy reach of the M8, only 25 minutes from the centre of Edinburgh, 30 minu…. Conveniently located for Livingston North train station.For shops and local amenities Livi…. 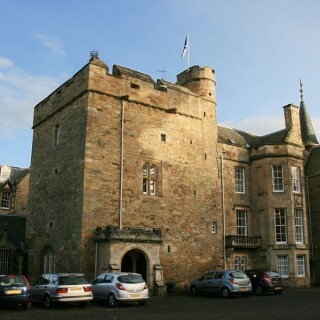 The West Port Hotel is situated in the historic town of Linlithgow. The West Port is an id…. Situated directly across from the shore of Loch Ryan with uninterrupted views of sea birds…. The Creebridge House Hotel is a family run country house hotel set in three acres of beaut…. The Kenmuir Arms Hotel is situated next to the Crosswaters of Luce and is ideally placed f…. Set within its own cove of 32 acres, with private beach, extensive gardens and croquet law…. Lakeview is on the seafront just a few minutes walk from Stranraer town centre, the Stena …. Just 4 miles (4 minutes) from Stranraer and 1 mile from Cairnryan.Rhins of Galloway sits b…. very friendly family run Innb+b with 5 large family rooms and 5 ensuite chalets(1 is equip…. Tigh na Mara Hotel boasts an enviable location, situated within a stones throw of a beauti…. Published on the 26th of January 2014 at 3:02 pm. Updated on the 15th of April 2017 at 7:27 pm.